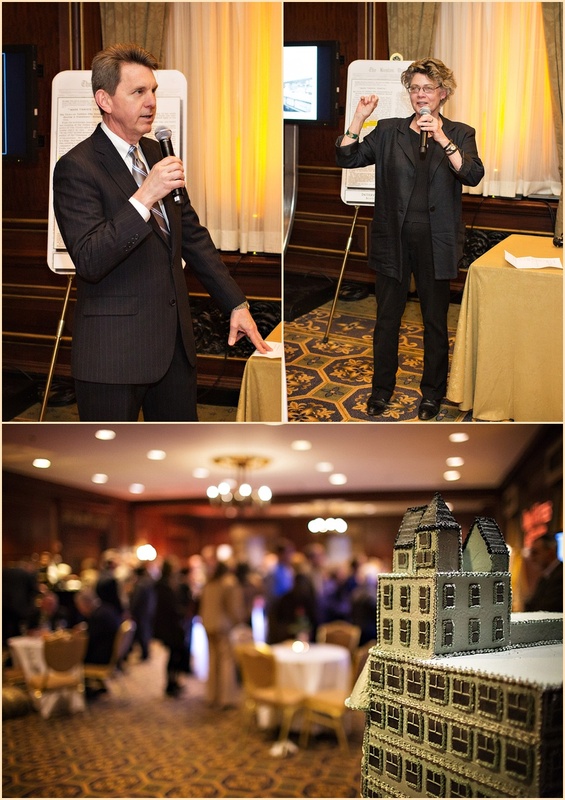 Every February, the Hampshire House holds their annual Engagement Celebration and we are always excited to be included. 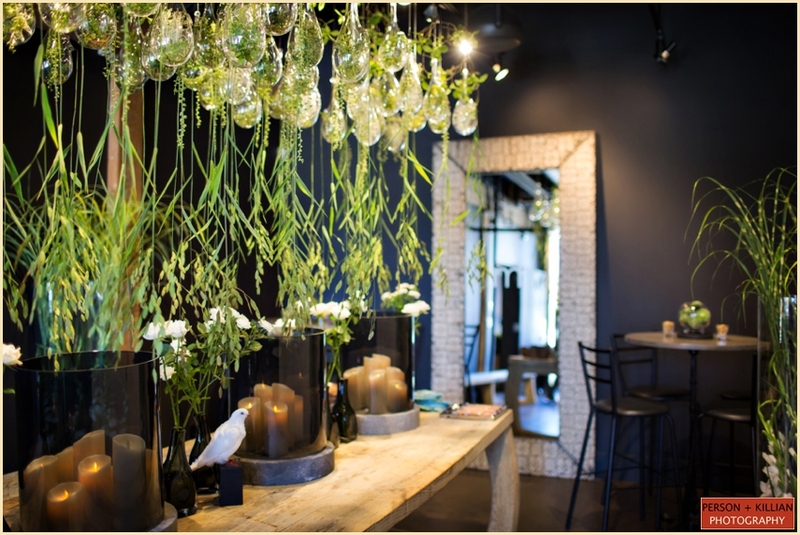 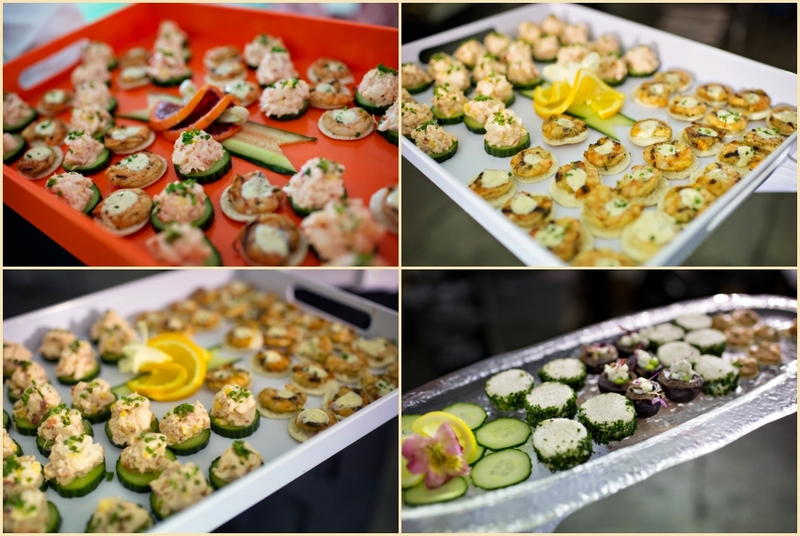 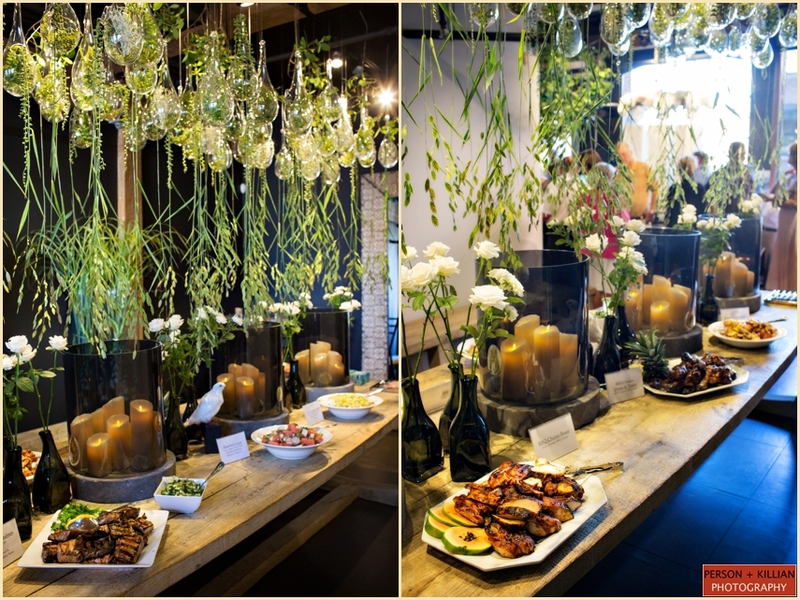 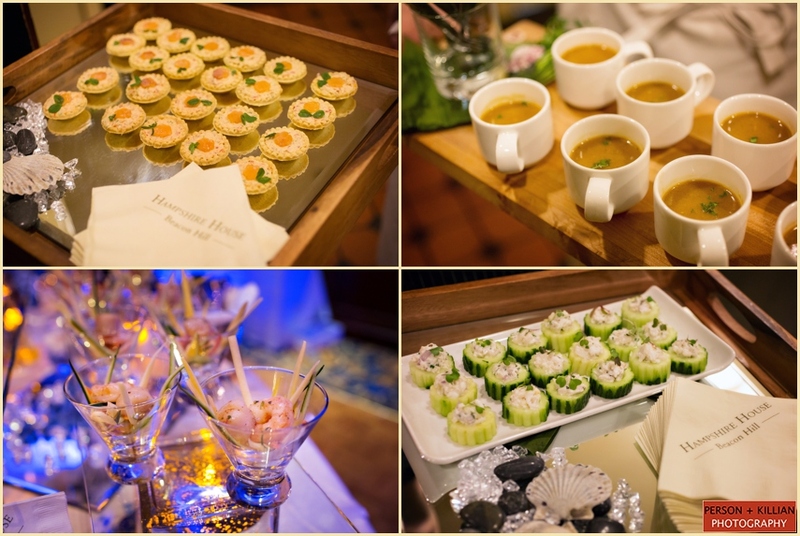 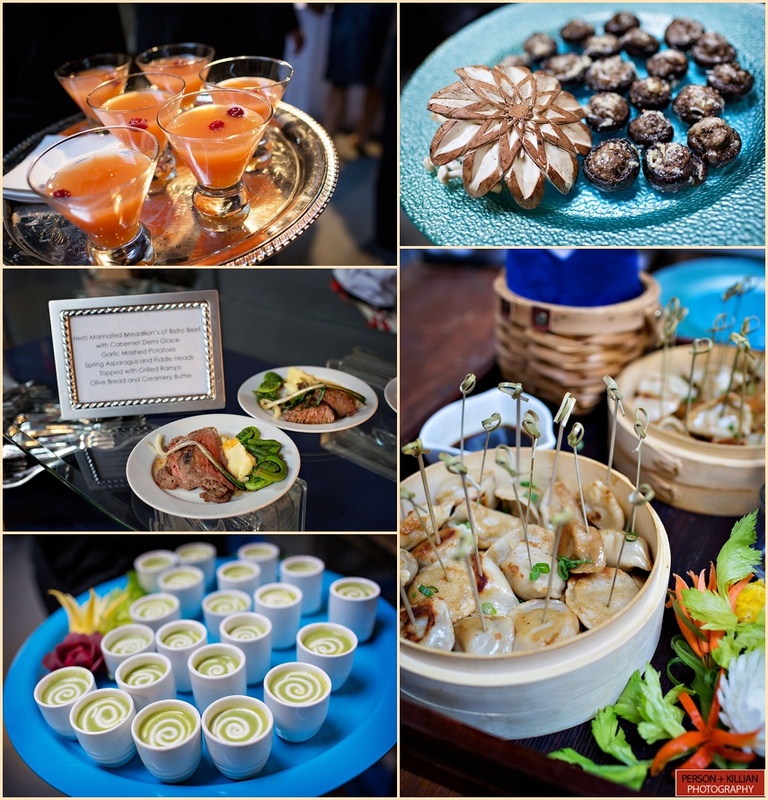 Newly engaged couples attend and have the chance to experience the latest trends in culinary cuisine by Hampshire House executive chef Markus Ripperger and see their beautiful space. 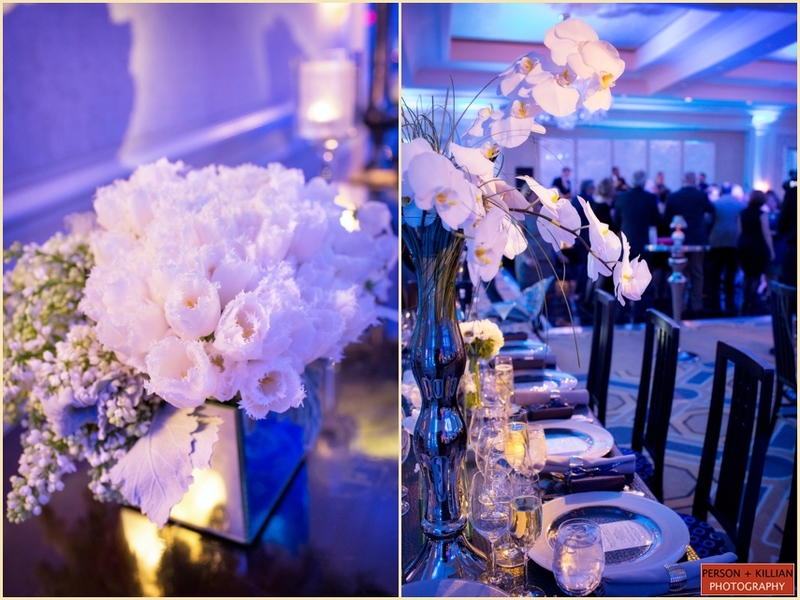 It is always a pleasure seeing what’s new and exciting in the upcoming wedding season trends, meeting the couples and of course, seeing so many of our industry friends. 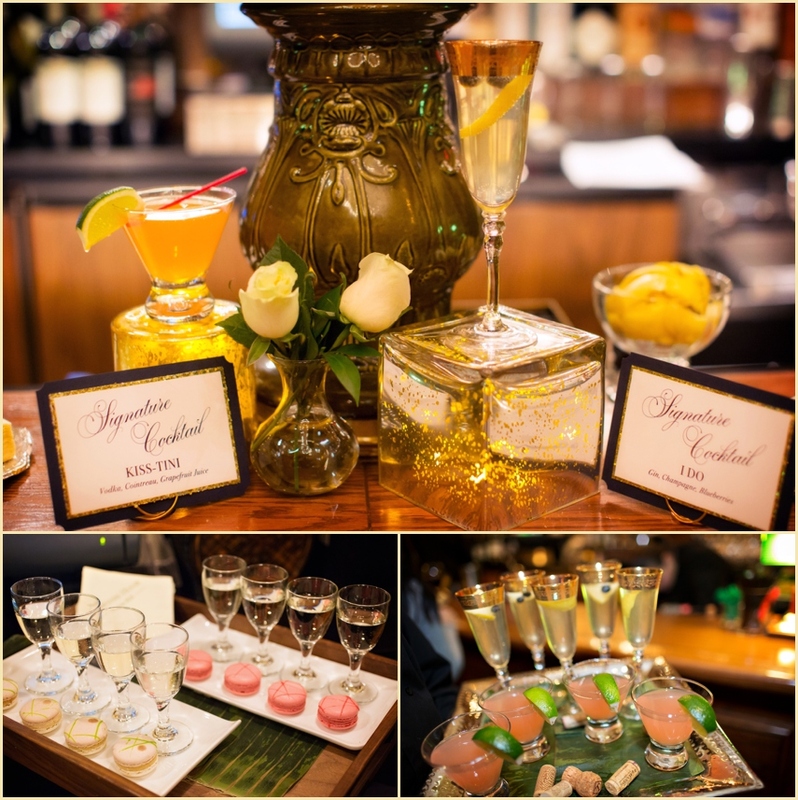 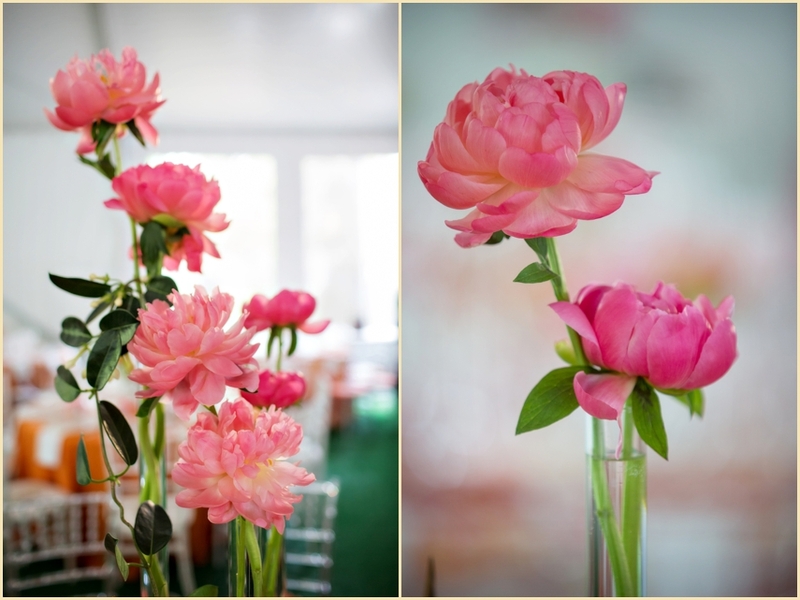 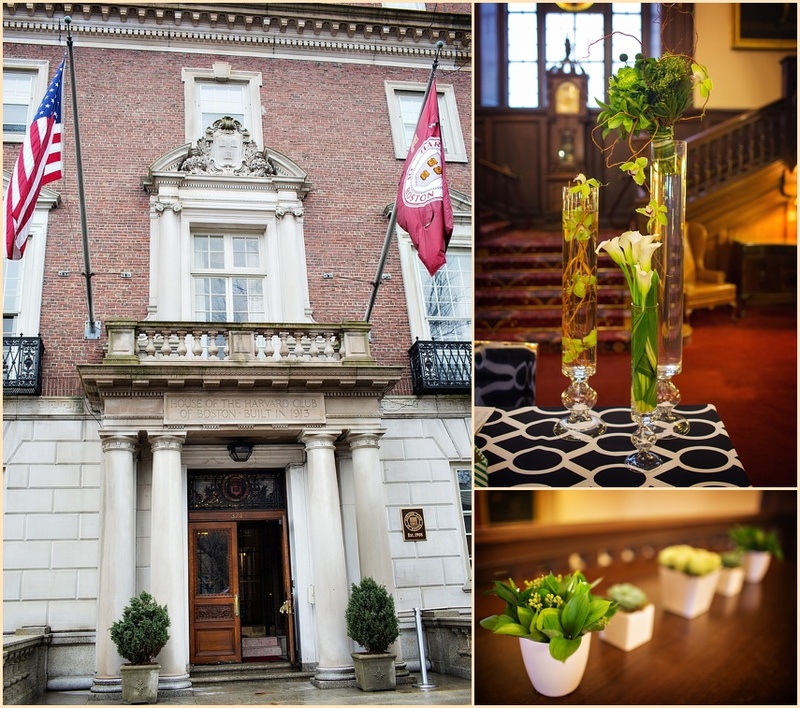 Couples have the chance to experience the beautiful atmosphere of the Hampshire House, see some of the latest in decor and inspiration ideas, meet some of Boston’s top wedding vendors, and sample delicious food and beverages. 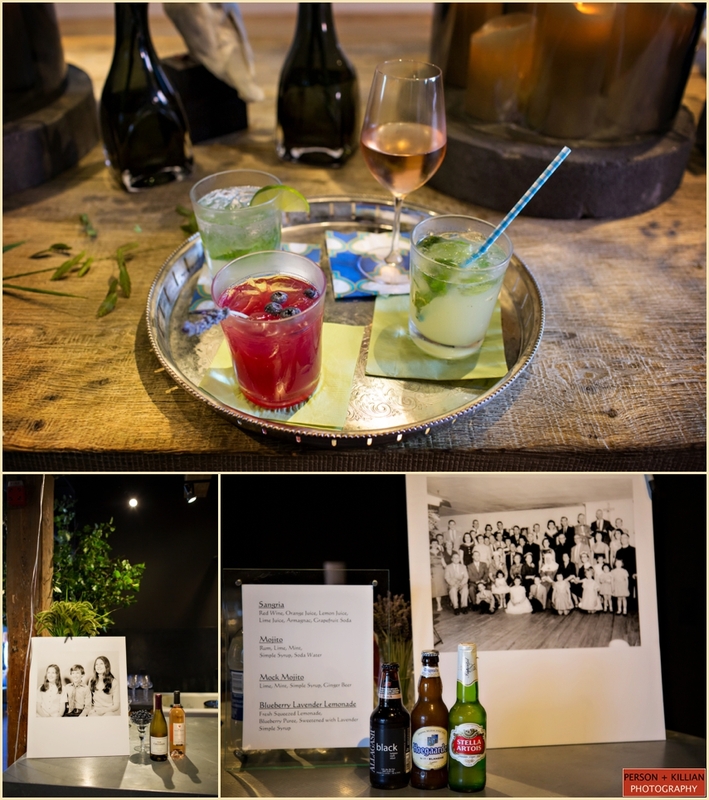 A big thank you to the amazing team at the Hampshire House for once again including us in this fantastic event! 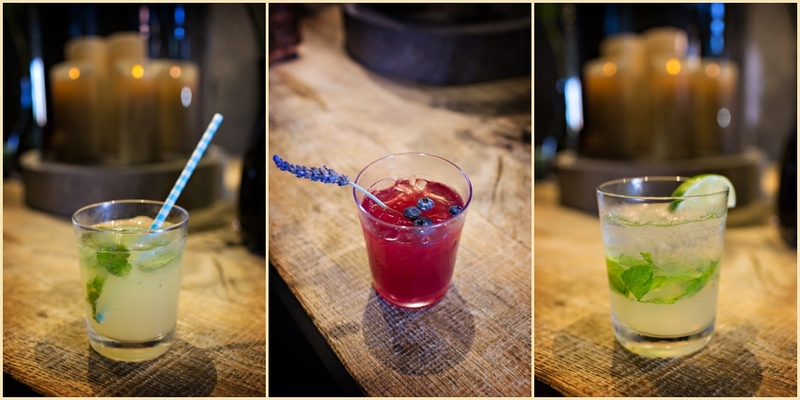 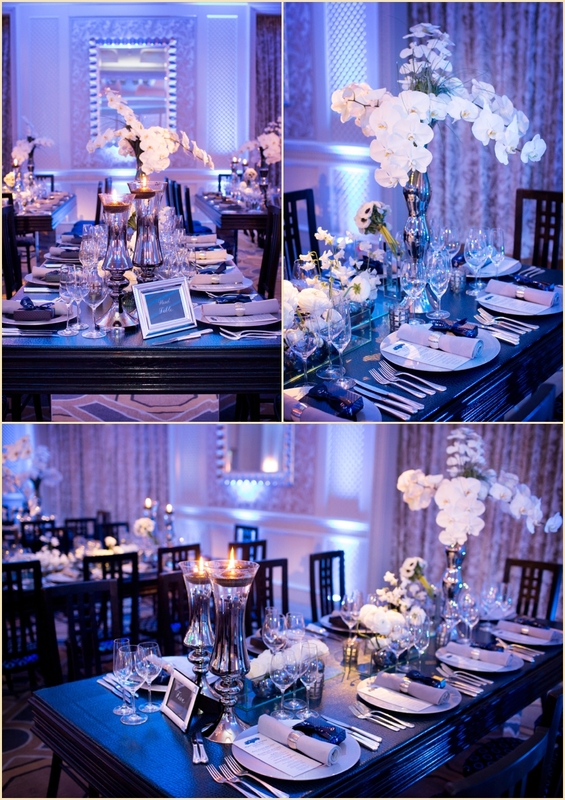 Below are a few images from the night. 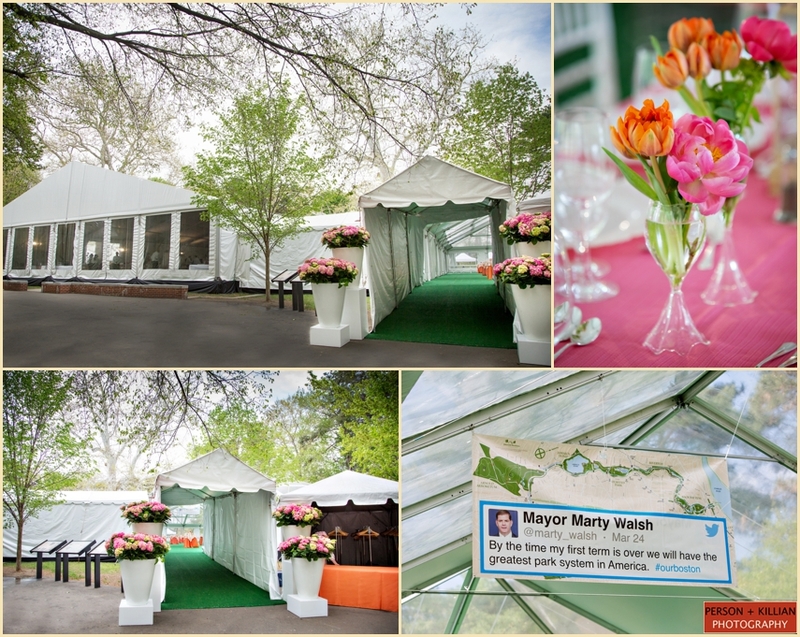 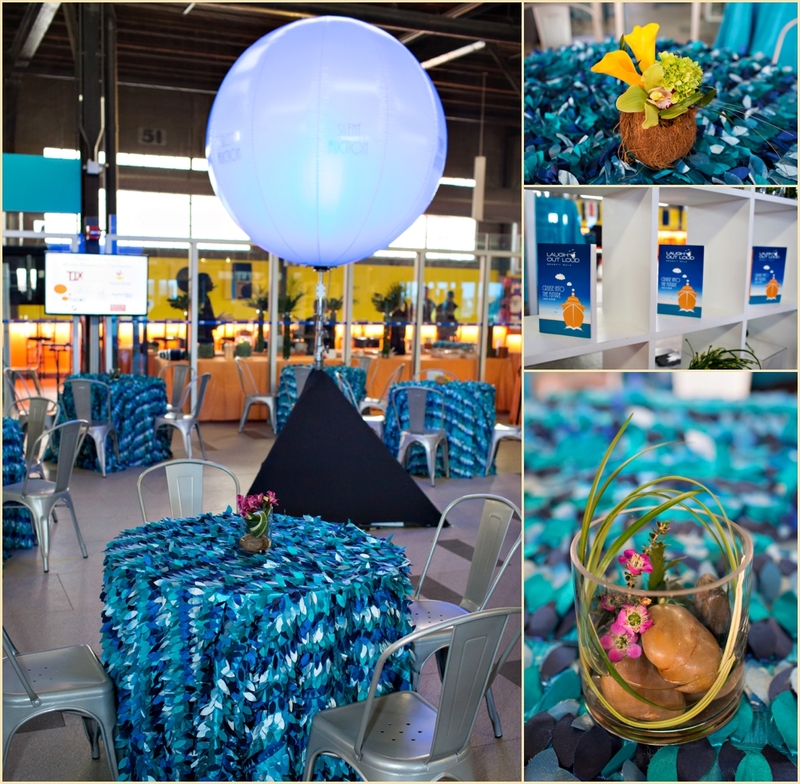 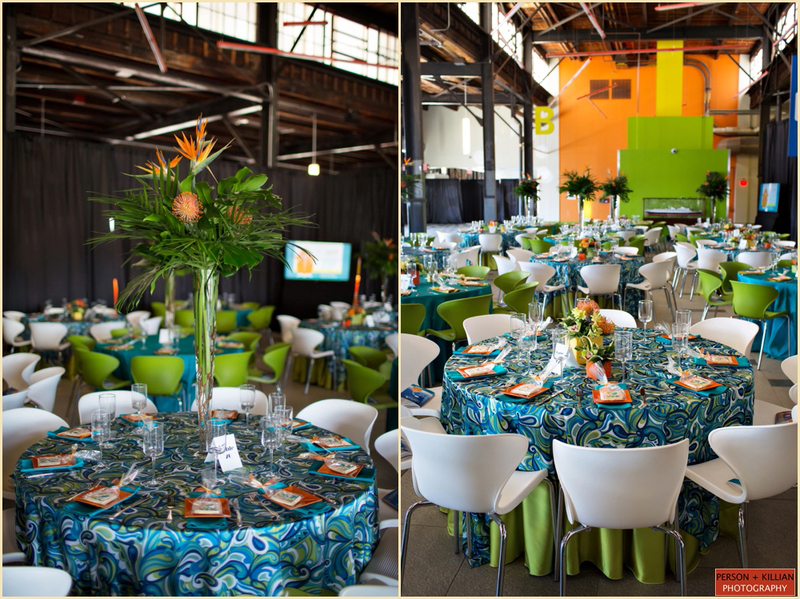 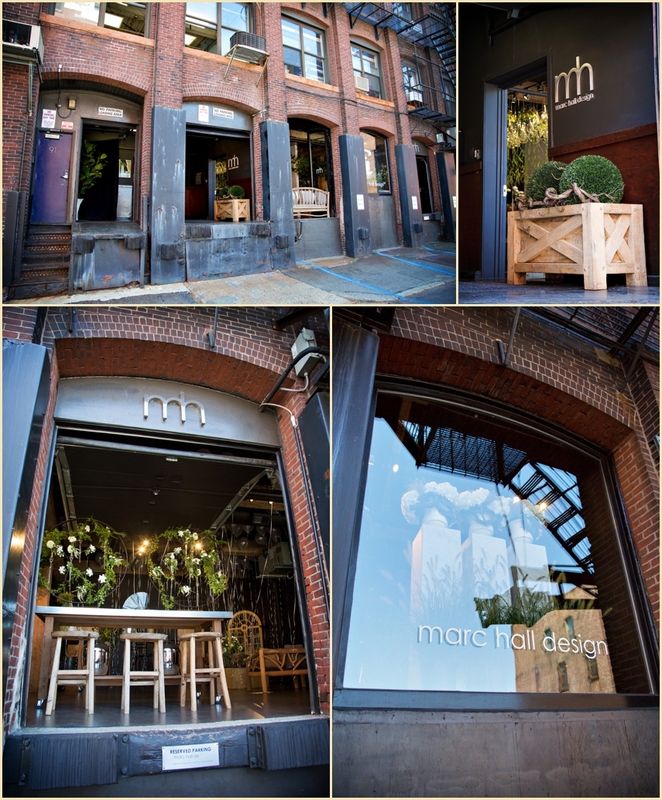 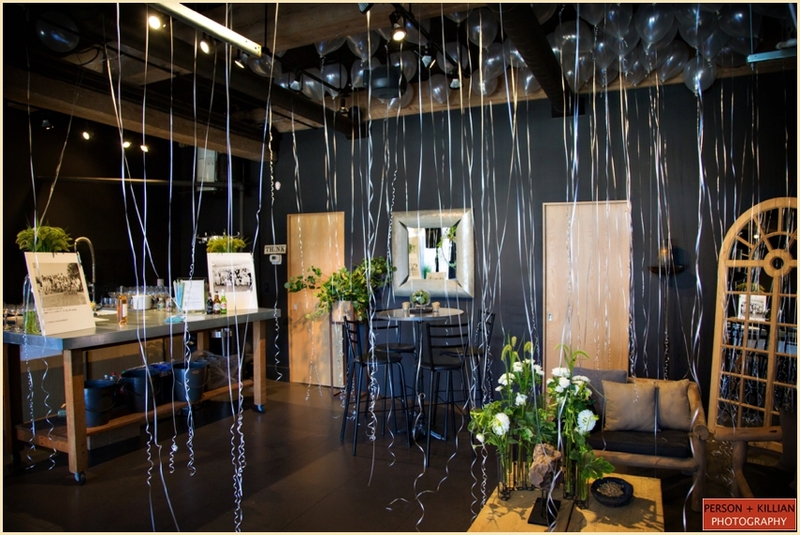 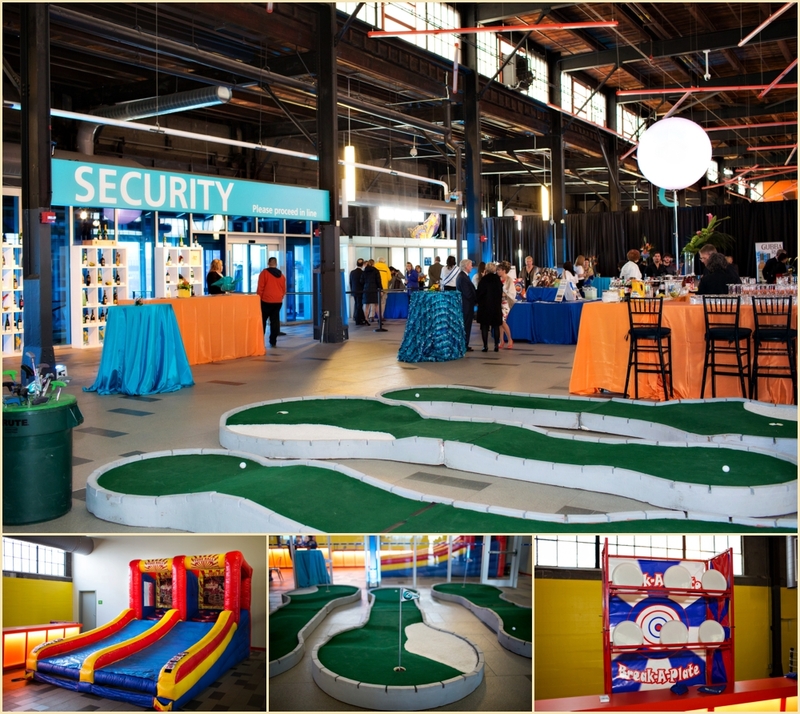 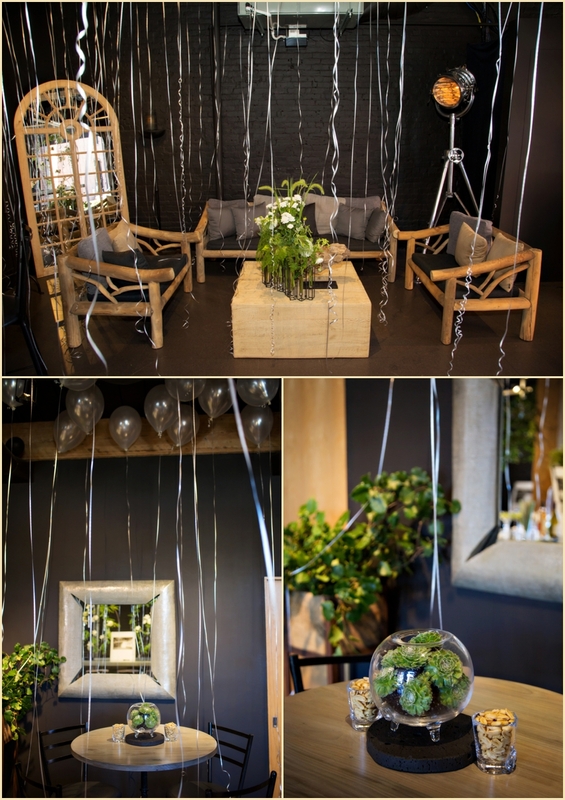 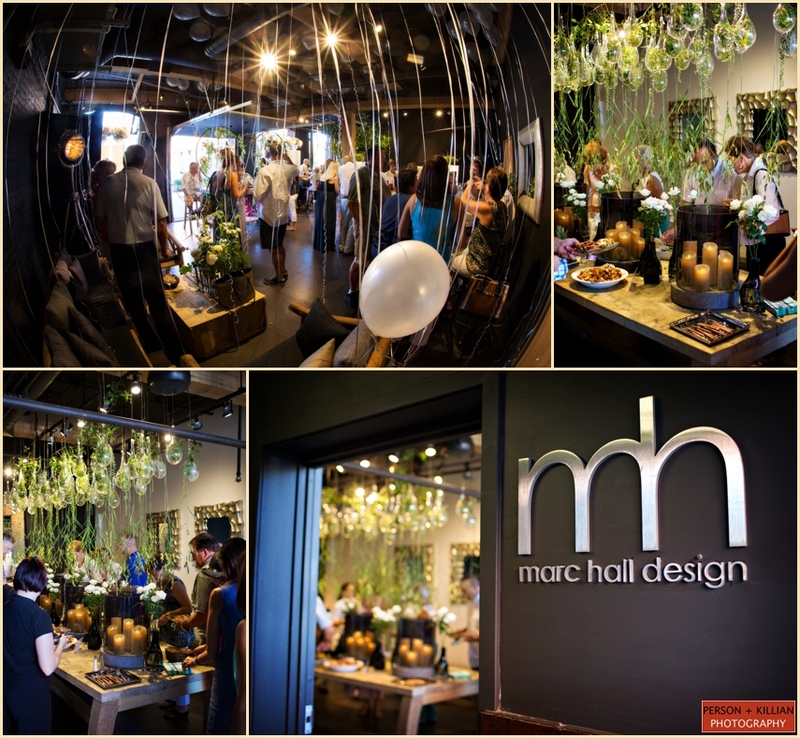 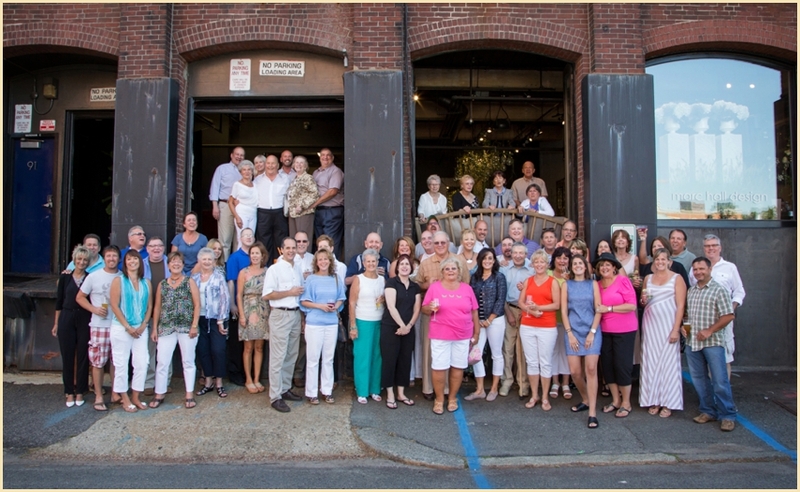 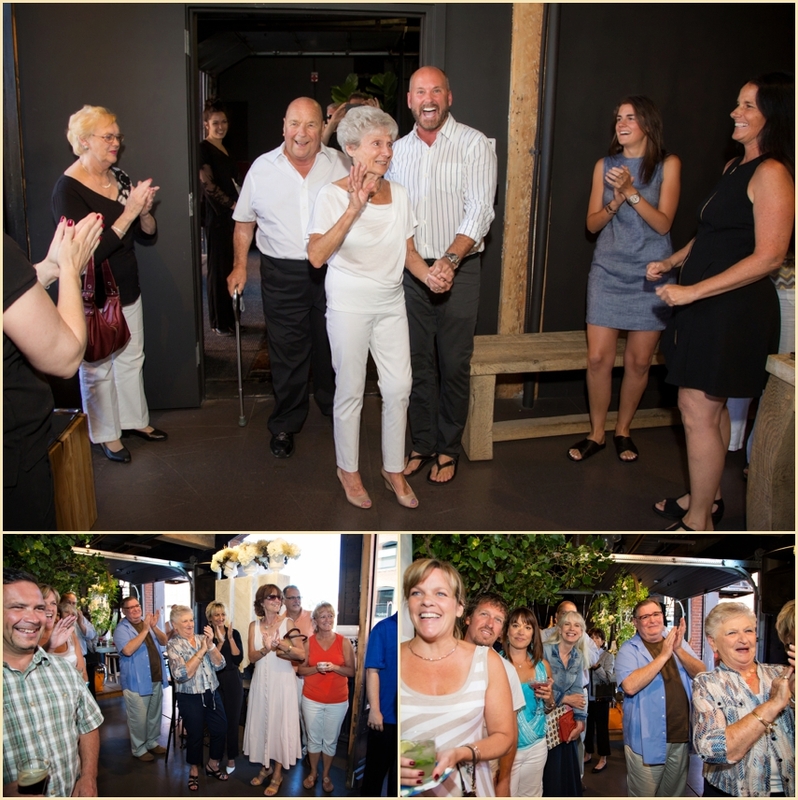 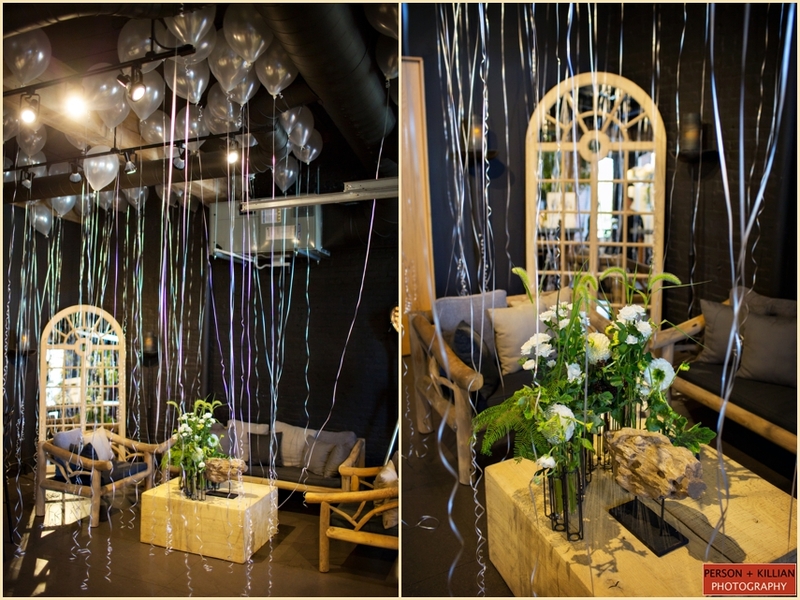 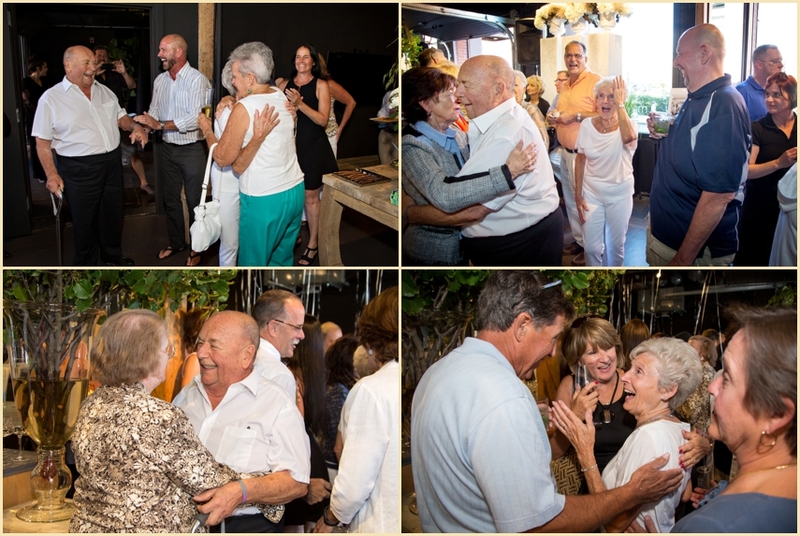 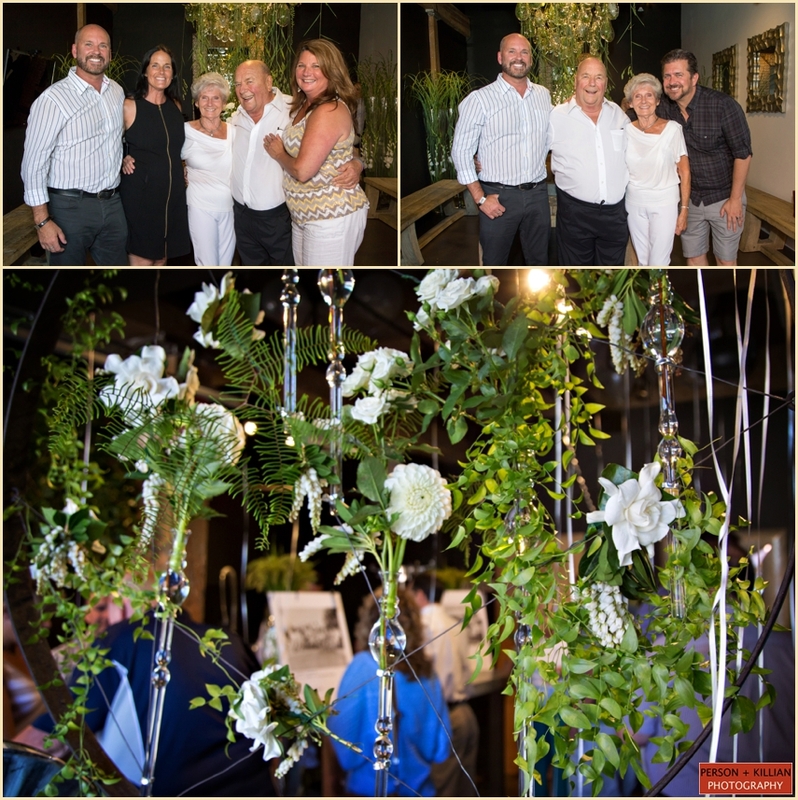 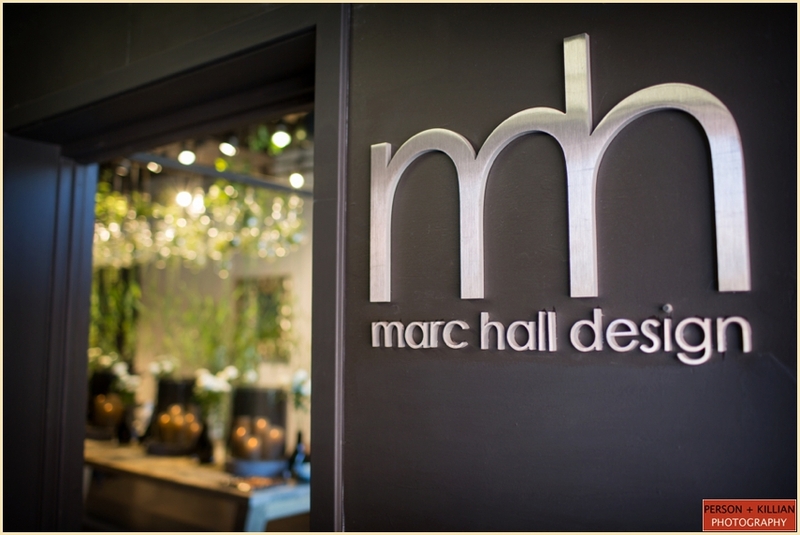 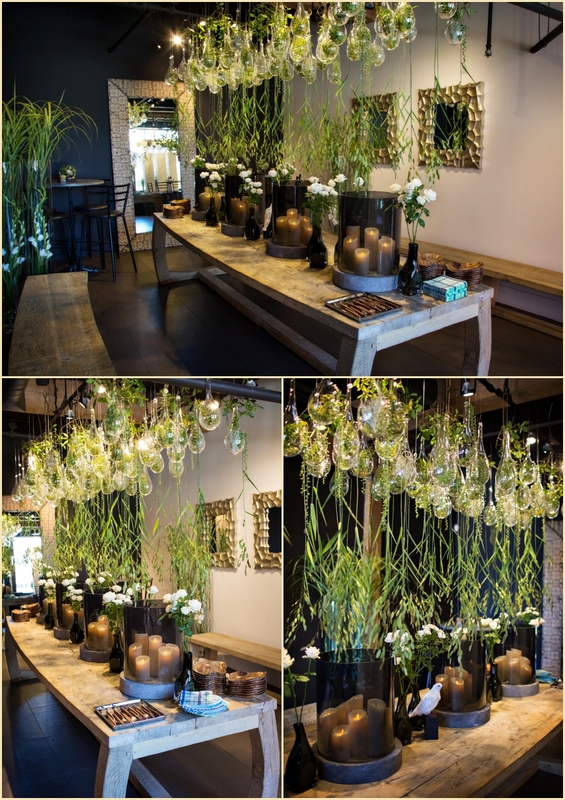 A big THANK YOU to Marc Hall and his team at Marc Hall Design for thinking of us for such a beautiful and memorable celebration! 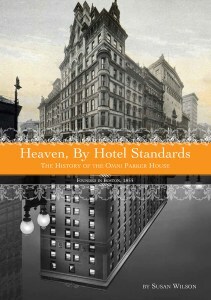 We were also honored to photograph the book launch event itself, which took place at the Omni Parker House Boston and featured a meet-and-greet with the author, delicious food and drink stations from the Omni Parker House kitchen, and fabulous music from the Winiker Swing Orchestra — who were the featured “house band” of the Omni Parker’s pub The Last Hurrah for almost 30 years! 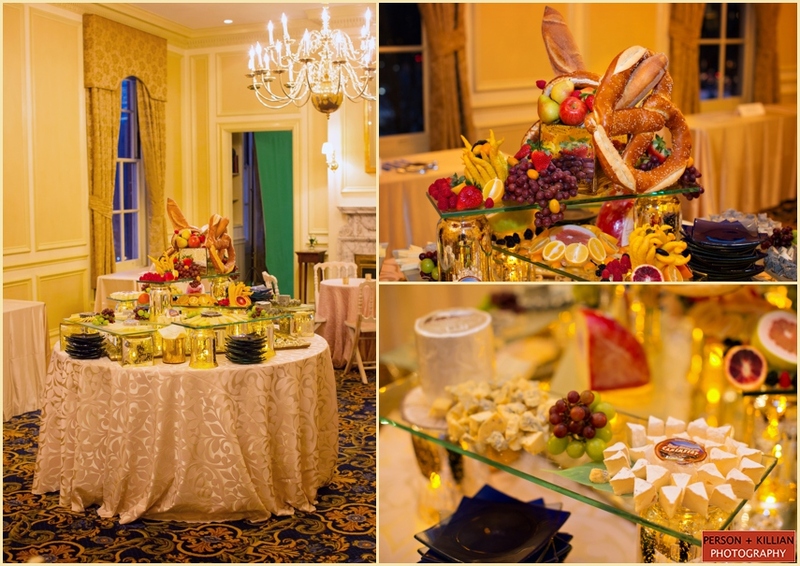 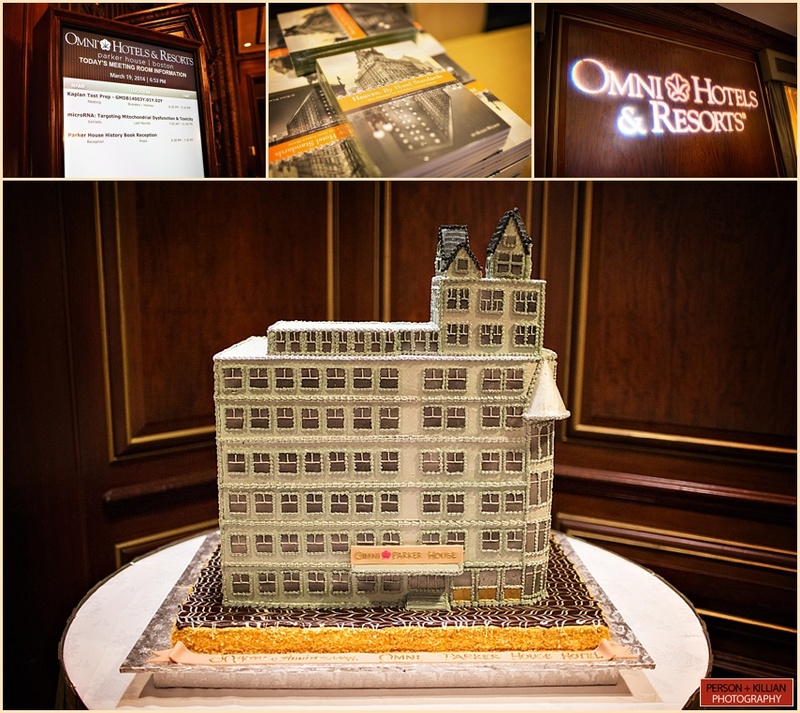 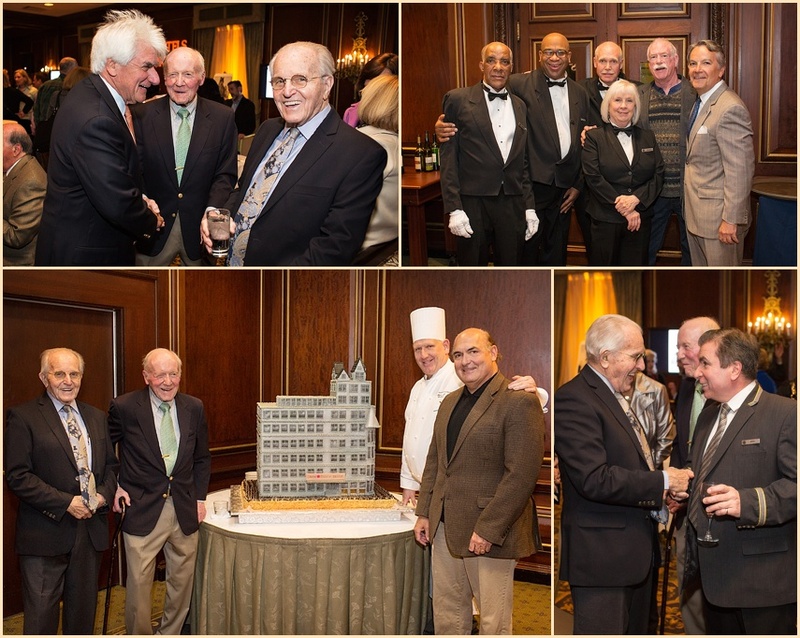 The show-stopper at this event was the Omni Parker House replica cake made out of the famous Boston Creme Pie, a dessert which was actually invented right here at the Omni Parker House Boston. 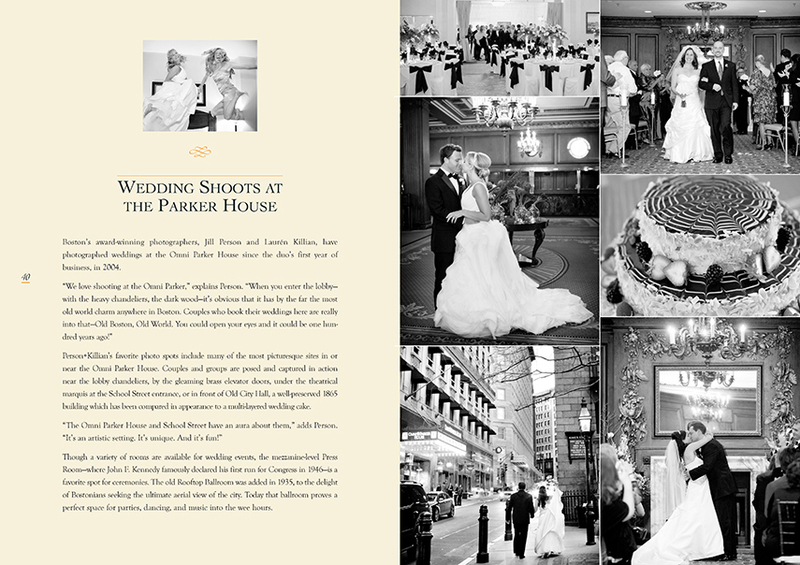 We could not be happier to have been honored in this wonderful book, and to be remembered as a part of this hotel’s unbelievable history. 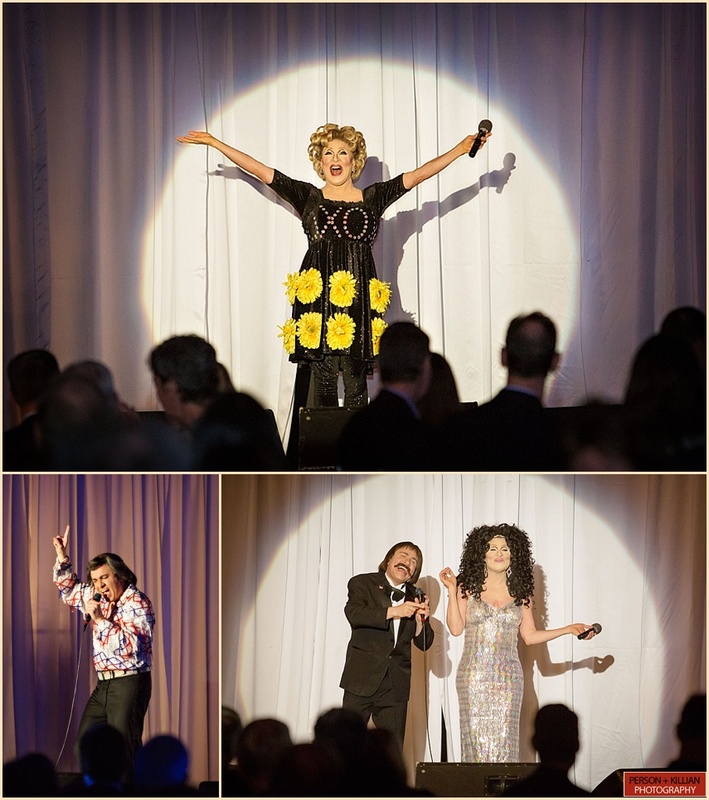 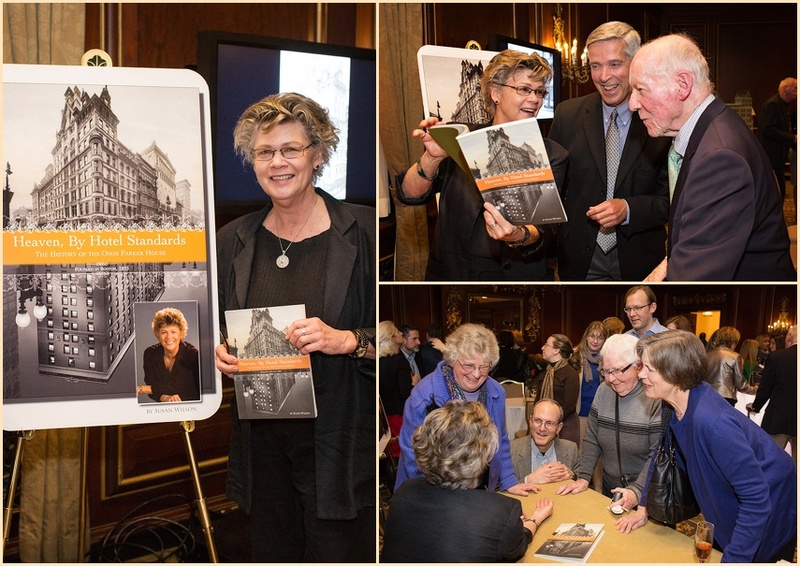 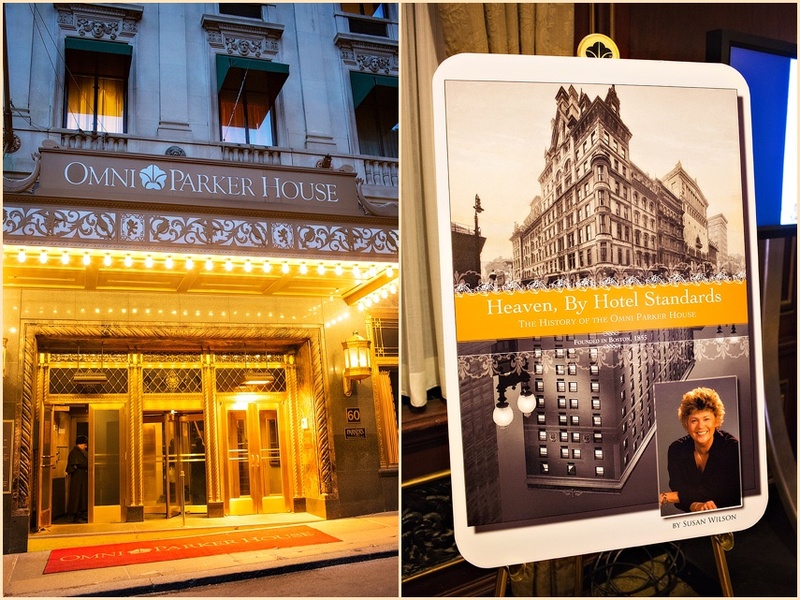 Special thank you to everyone at the Omni Parker House Boston, and to Susan Wilson for including us in your work. 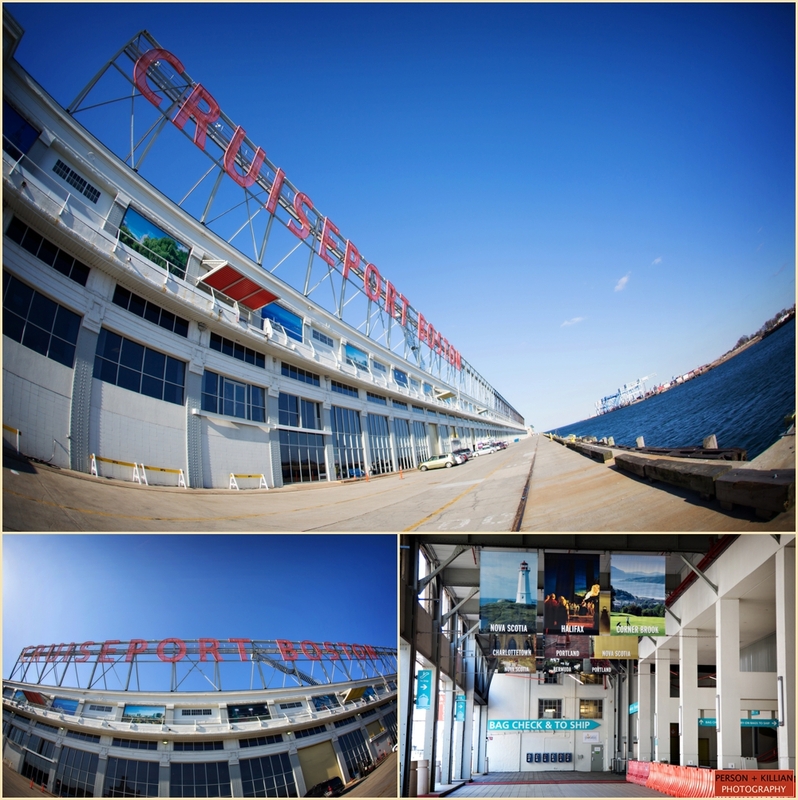 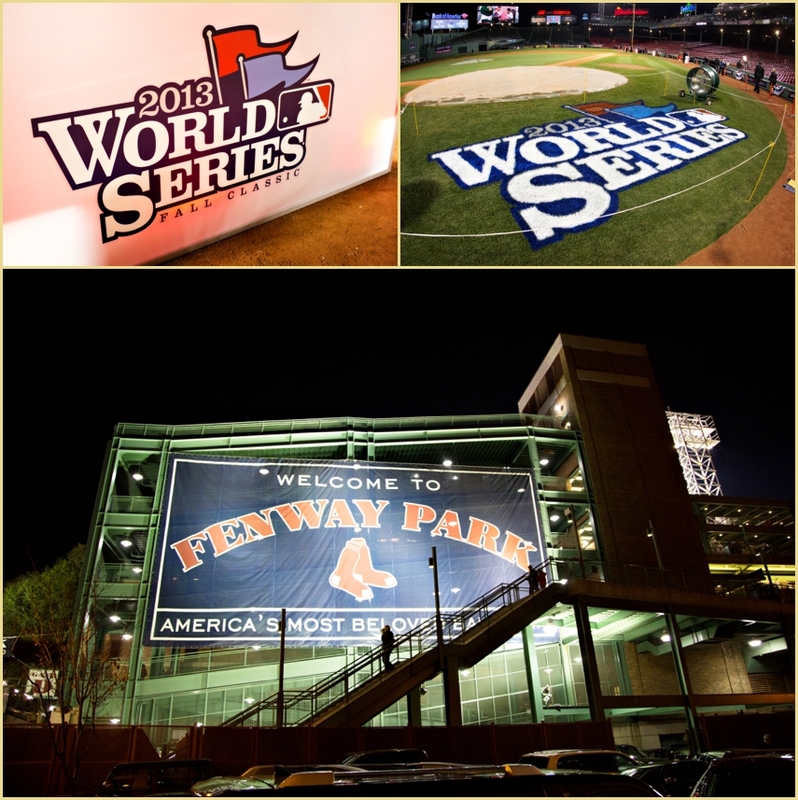 We are beyond existed to have been asked to photograph some of the events for the Boston Red Sox for both the 2013 ALCS Playoffs and World Series! 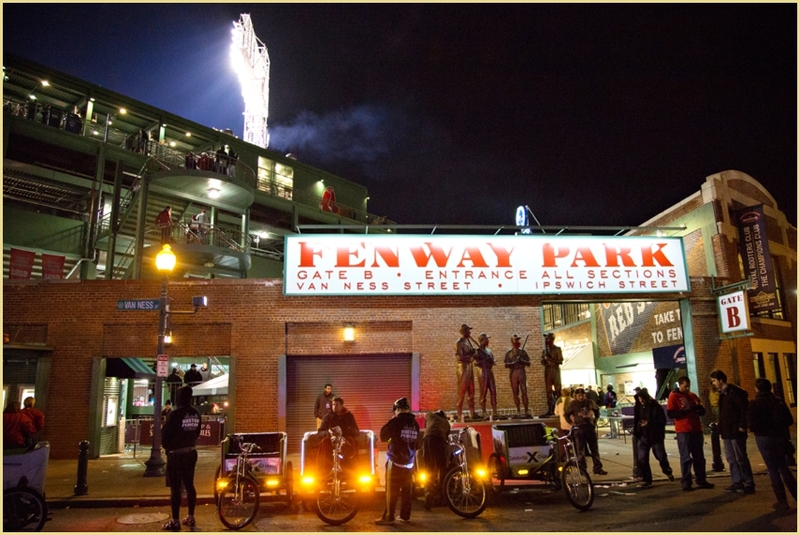 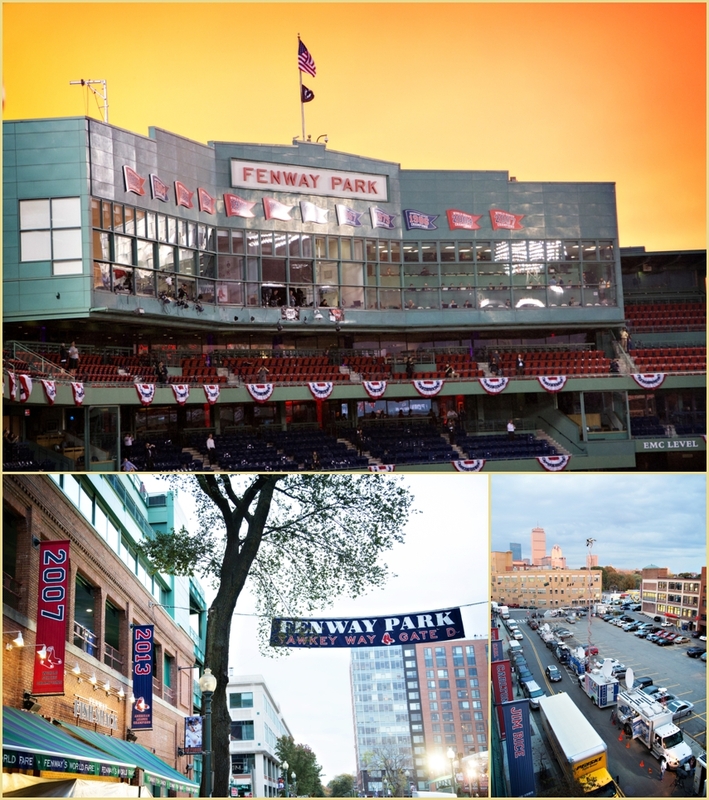 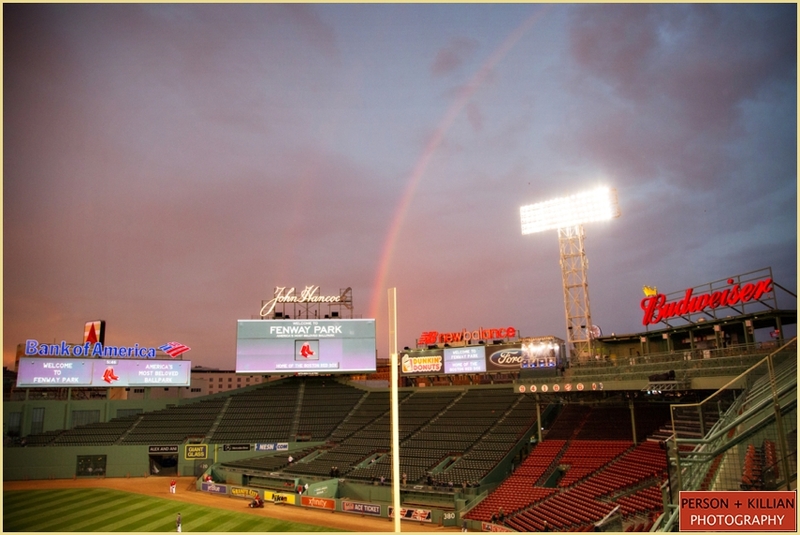 Historic (and iconic) Fenway Park is always picture perfect and we have had so much fun there over the past few weeks. 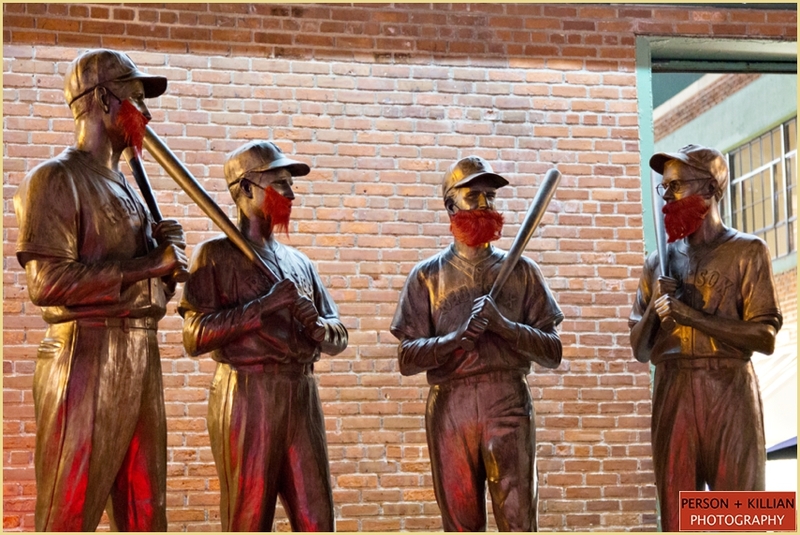 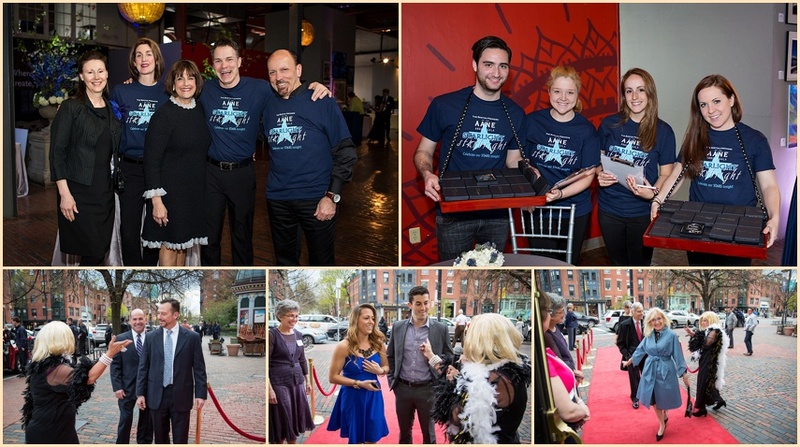 Below are just some of our scene setters from the events including the World Series Gala celebration. 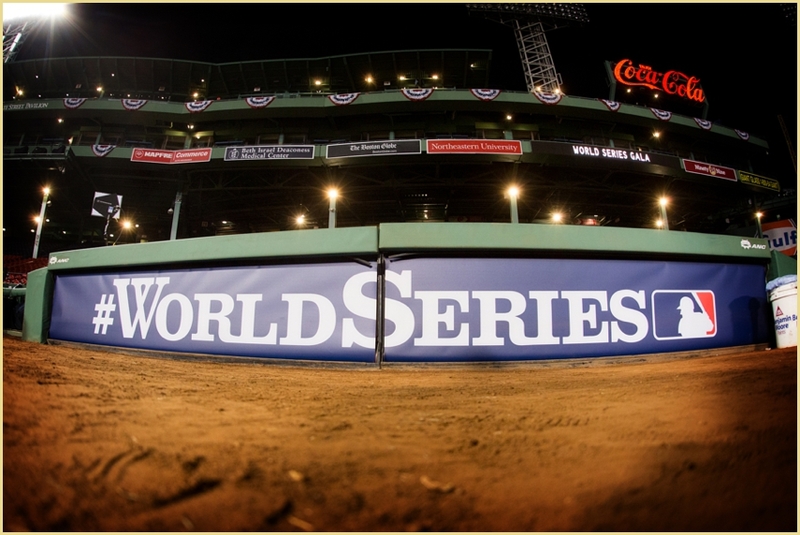 Let’s go Red Sox! 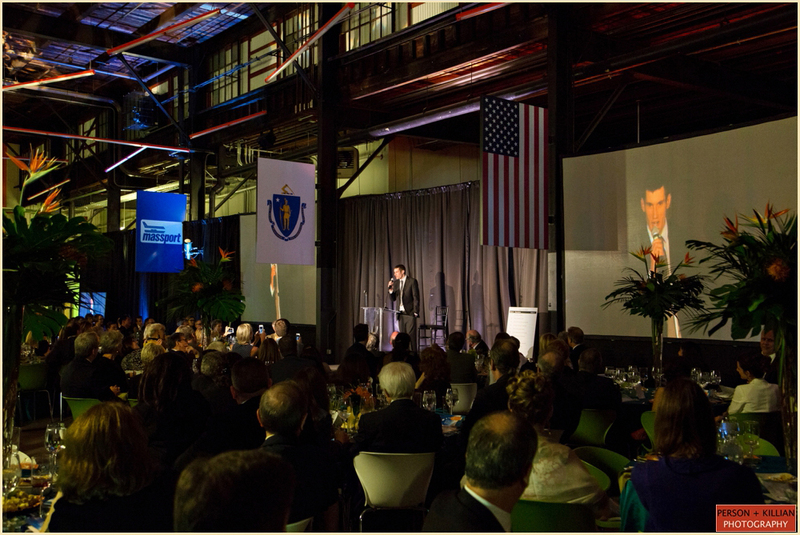 “Our mission is to knockout cancer the only way we know how, by literally fighting for a cure”. 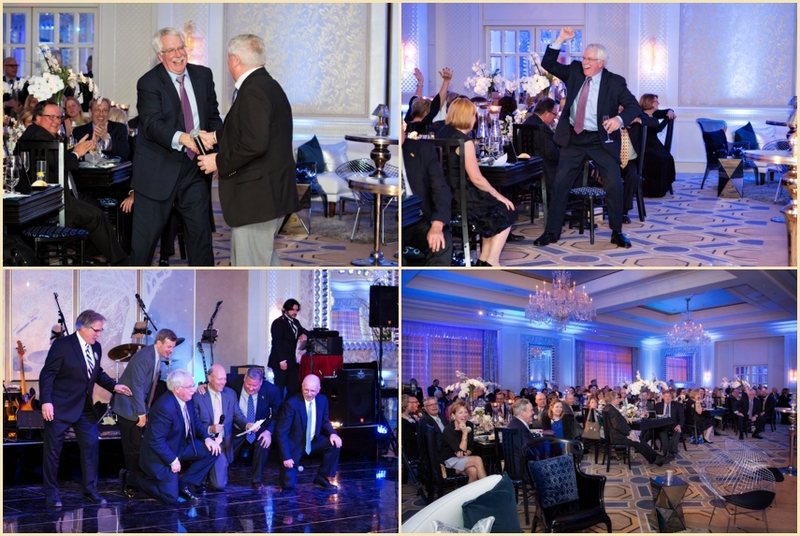 Haymakers for Hope is a great non-profit organization, dedicated to raising money for cancer research since 2009. 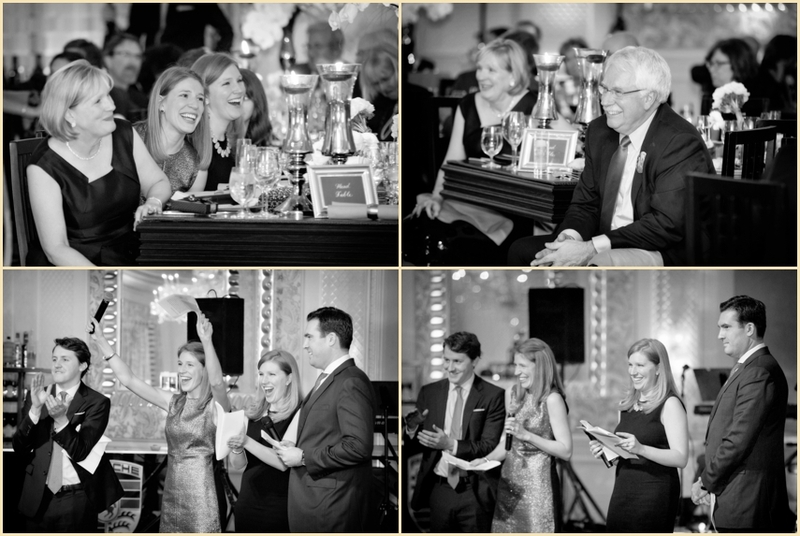 Co-founders Julie Anne Kelly and Andrew Myerson were training for their own boxing competition in New York City when they came up with the idea to turn fighting in the ring into fighting for a cause! 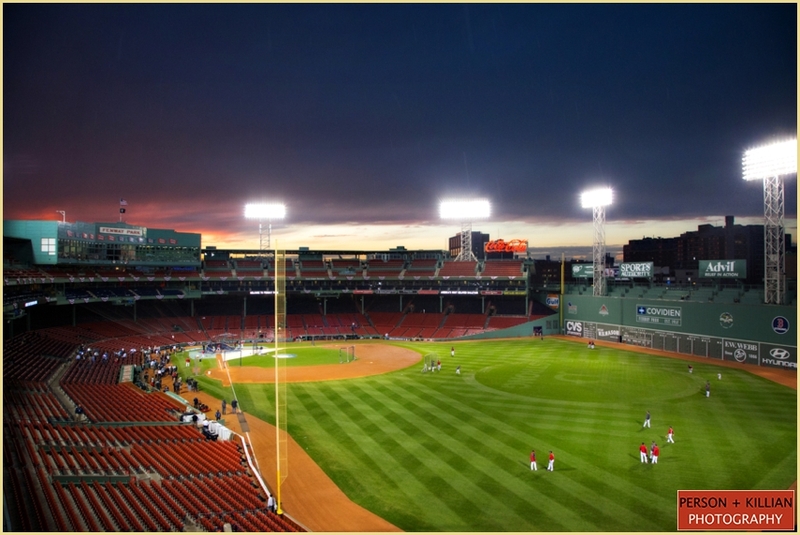 Local men and women with no boxing experience spend 4 intense months training for the Rock N’ Rumble competition, and pair off against each other at this annual event at the House of Blues Boston. 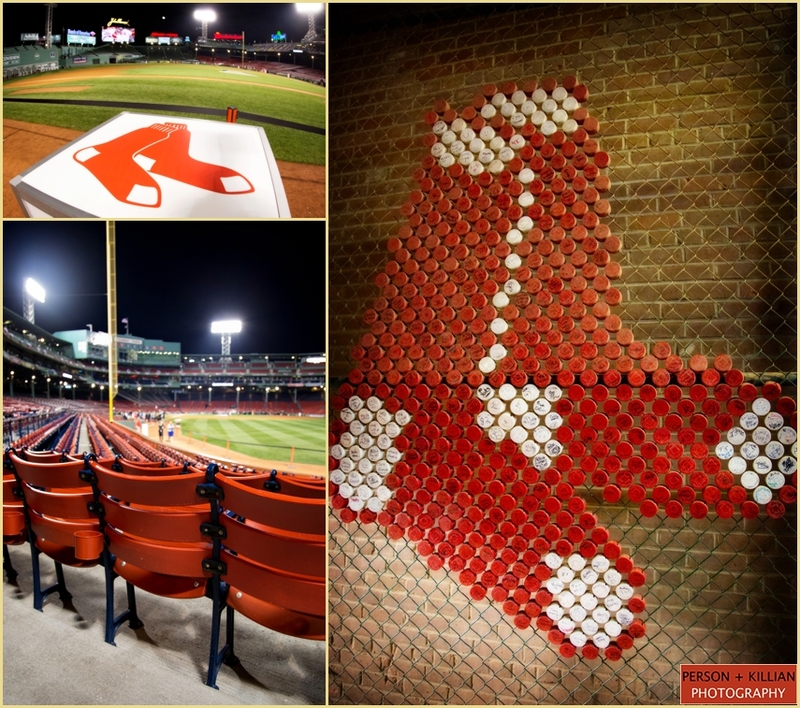 All proceeds go to the Dana Farber Cancer Institute and the Jimmy Fund, to help in their mission to fight against cancer and eventually find a cure. 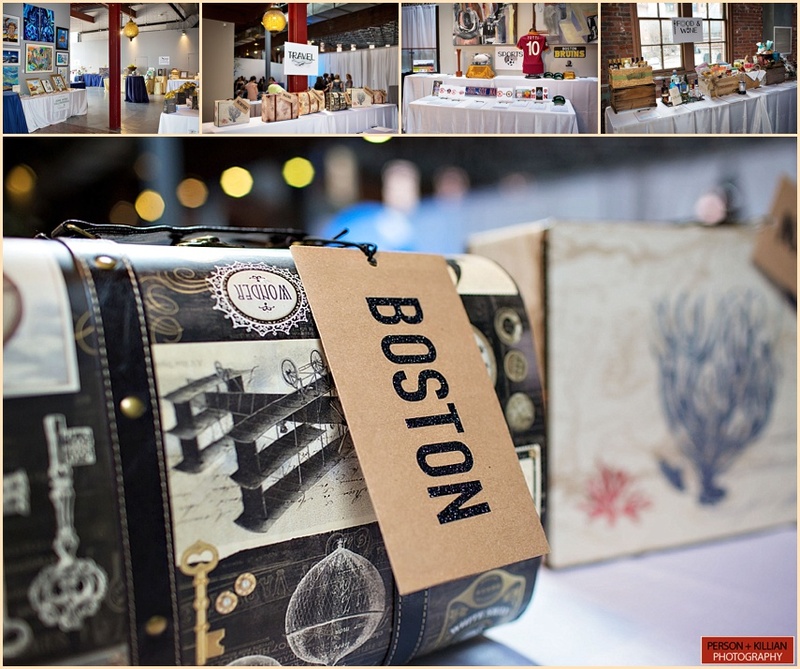 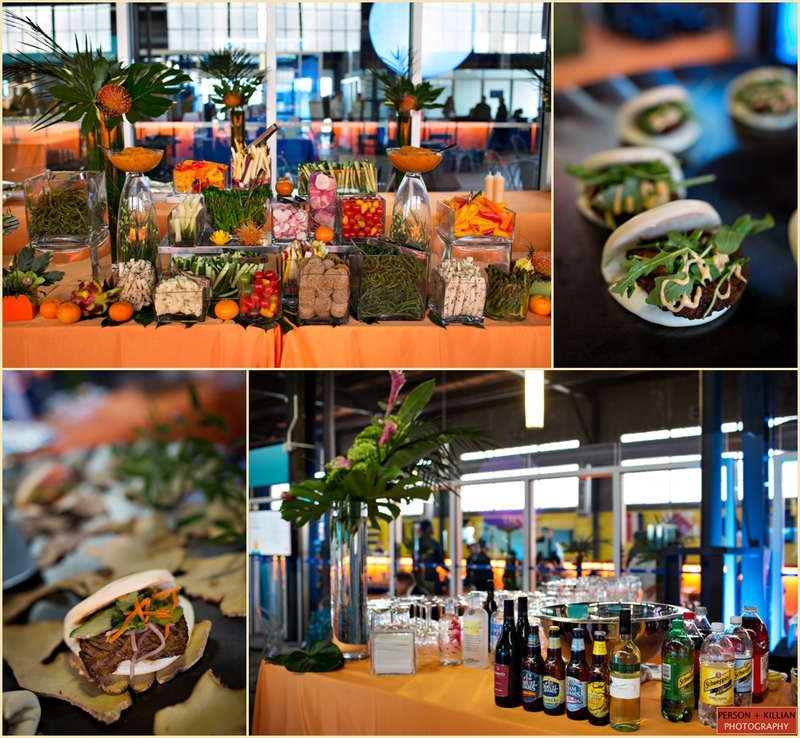 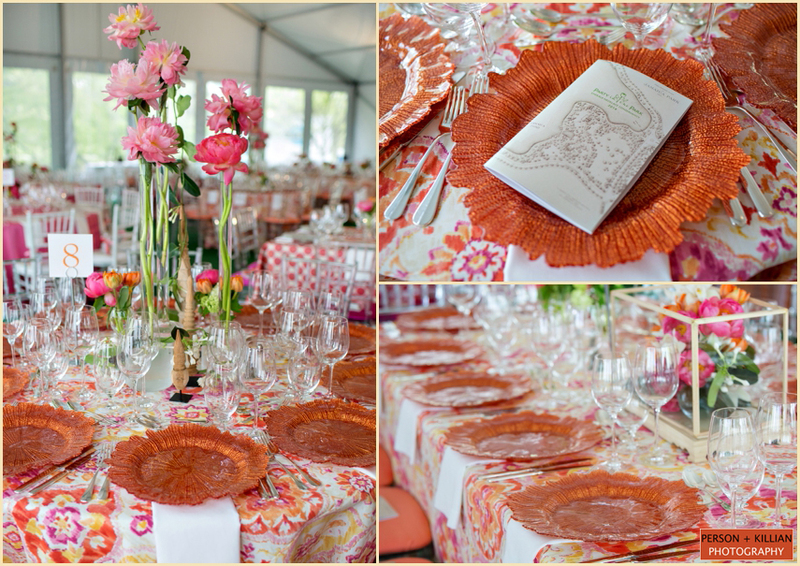 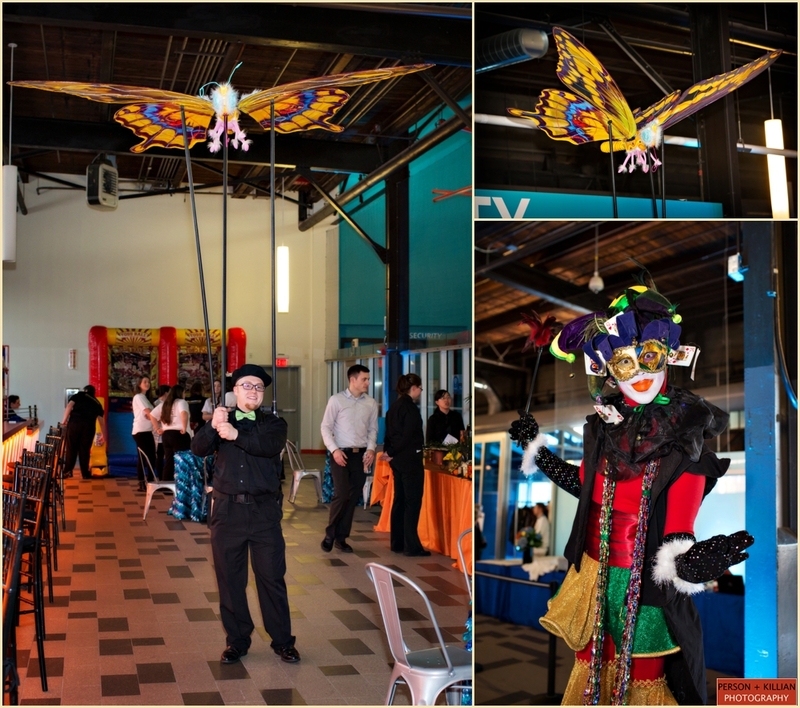 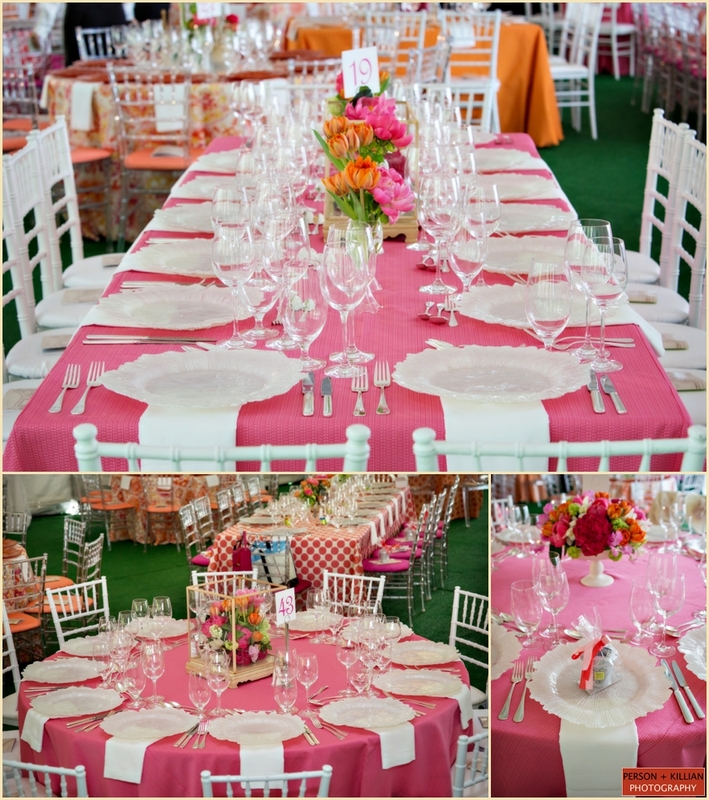 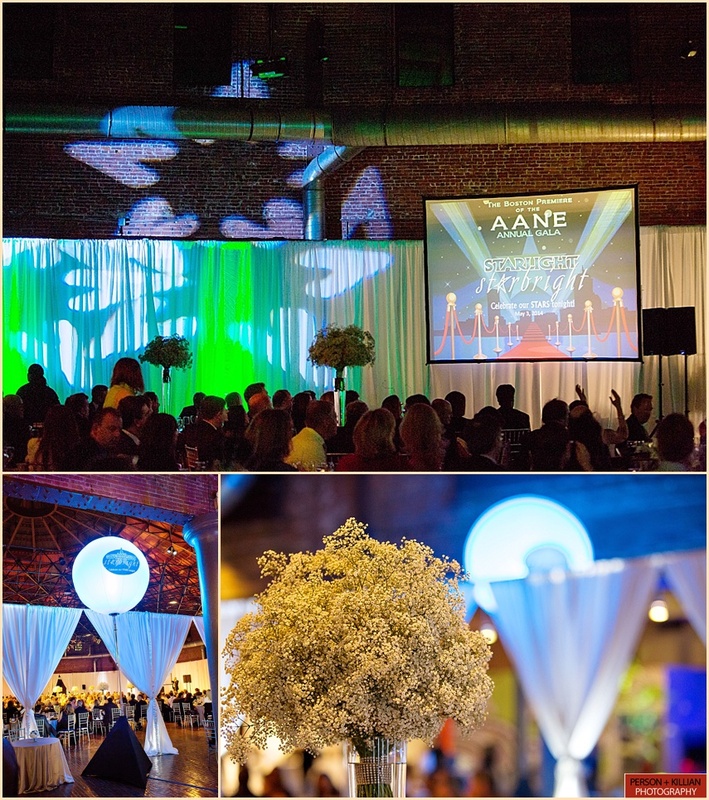 This year’s competitive boxing match was beautifully designed by Amy Kimball Events, and was action-packed as always! 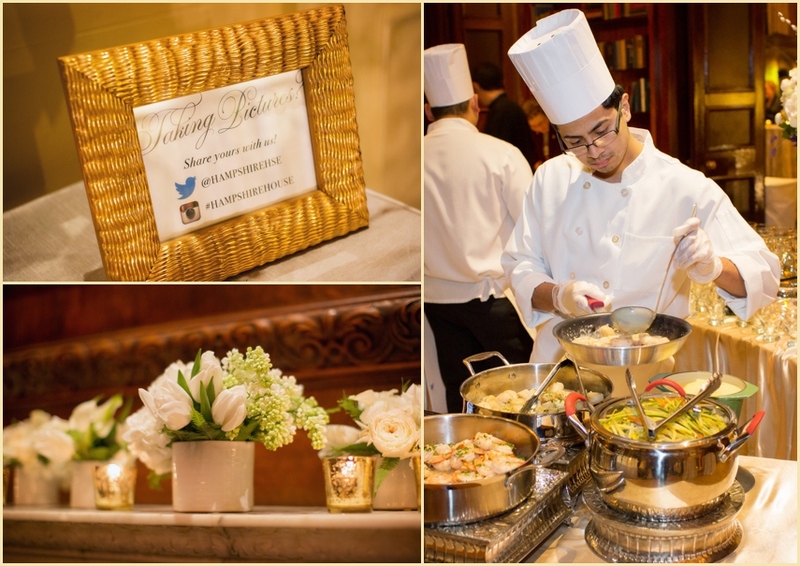 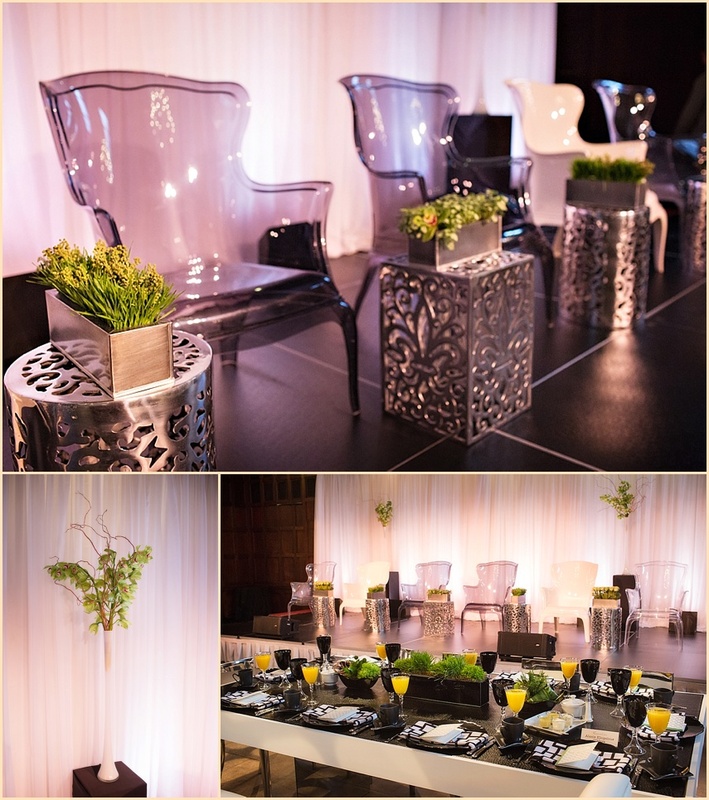 We were so excited to once again be a part of the historic Omni Parker House 12th annual Brides of Distinction Bridal Brunch and Fashion Show this year! 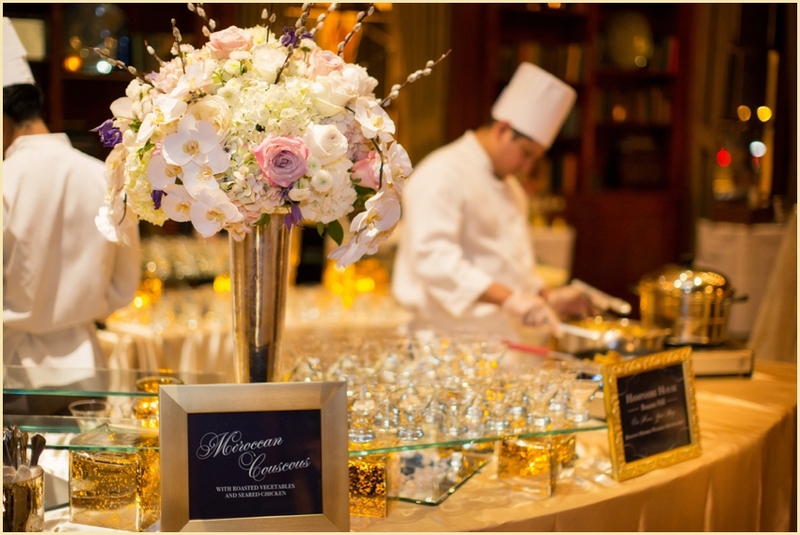 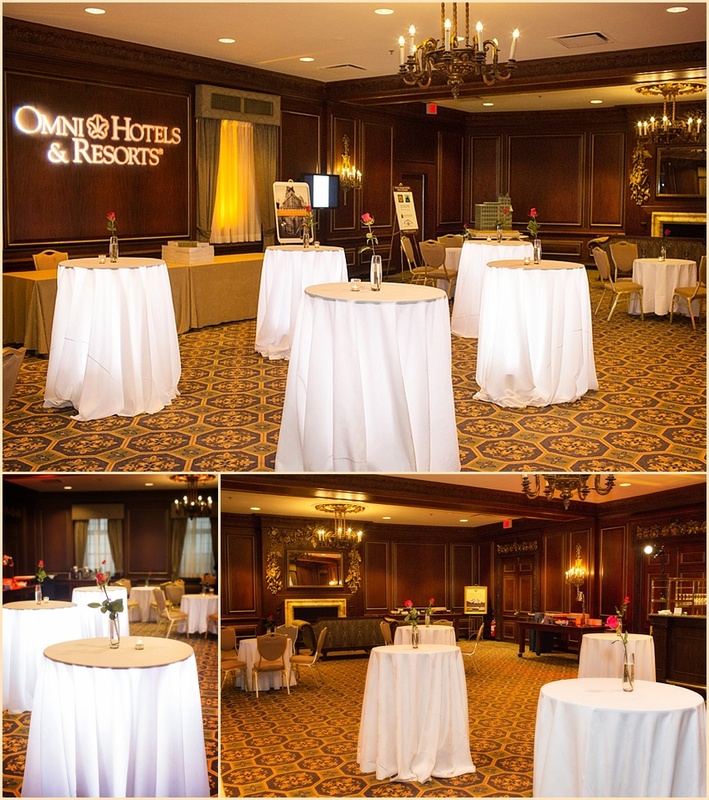 Each year the Omni opens its doors to soon-to-be brides and grooms to mingle, meet some of Boston’s top wedding professionals, and plan all the details for their perfect wedding. 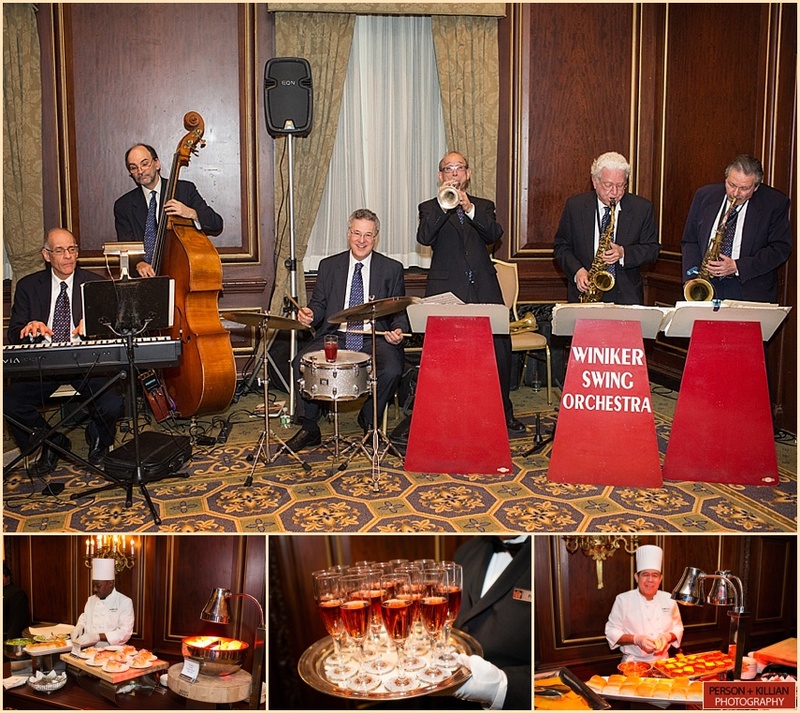 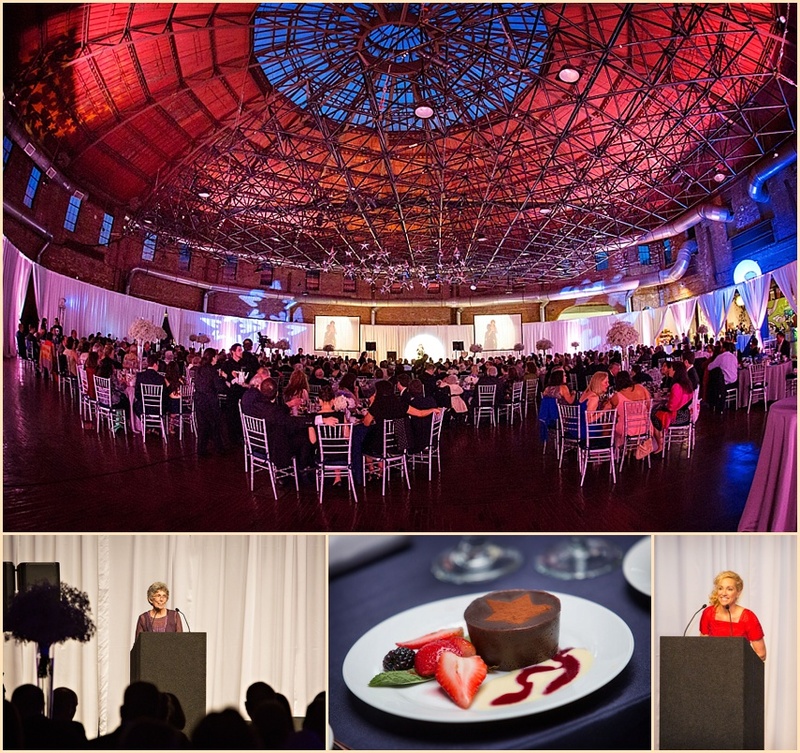 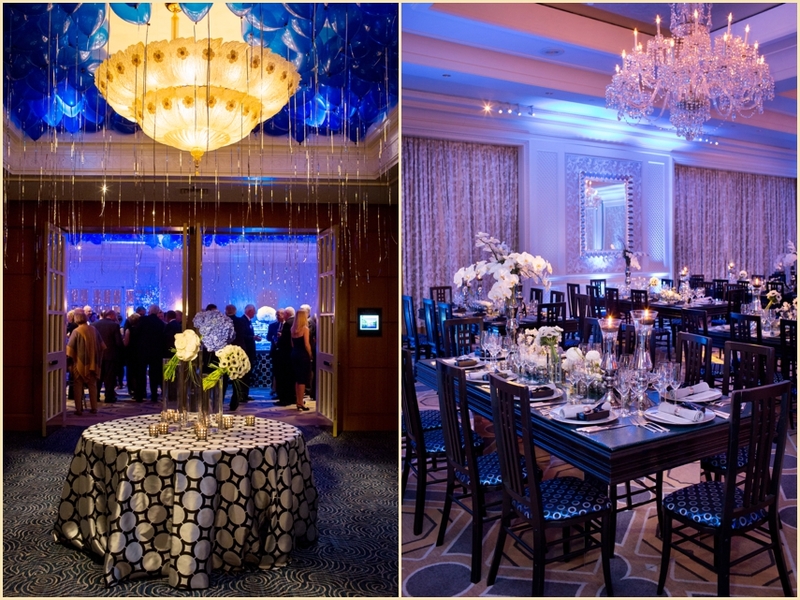 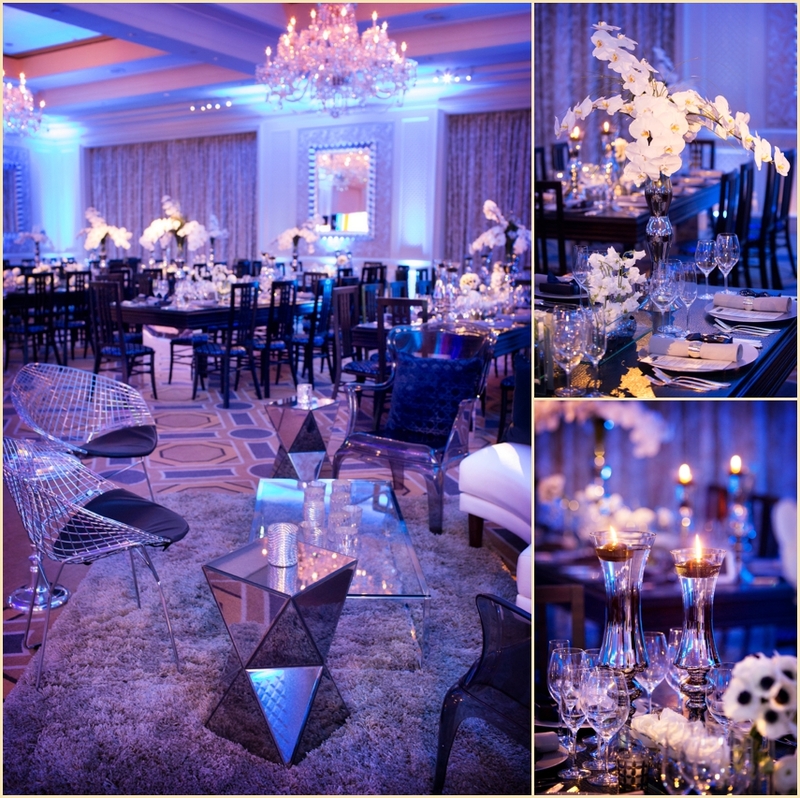 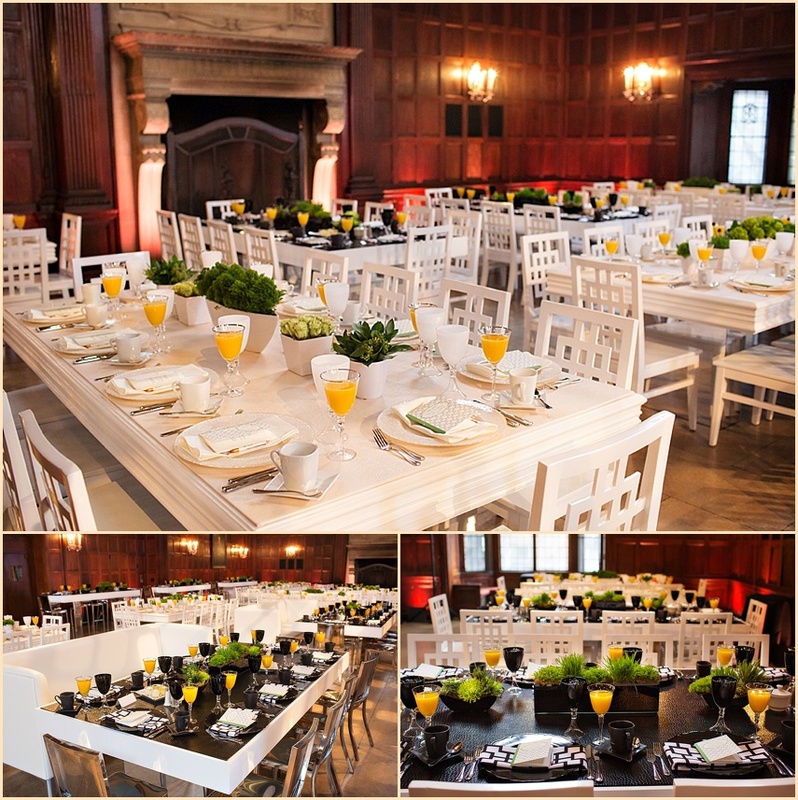 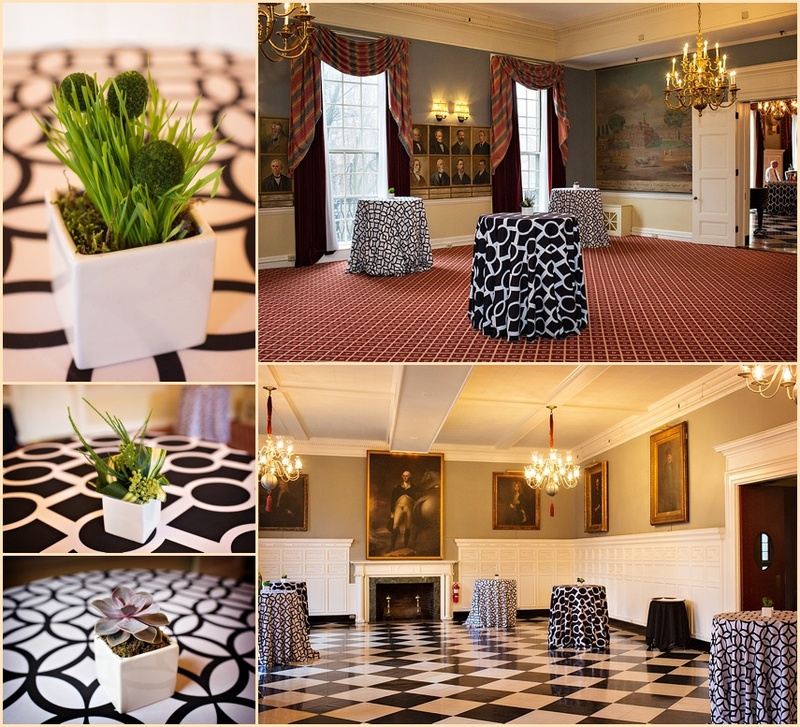 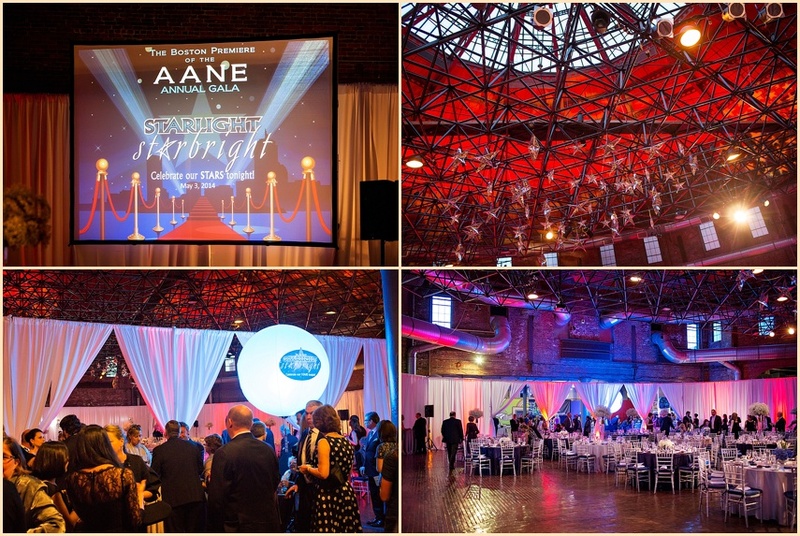 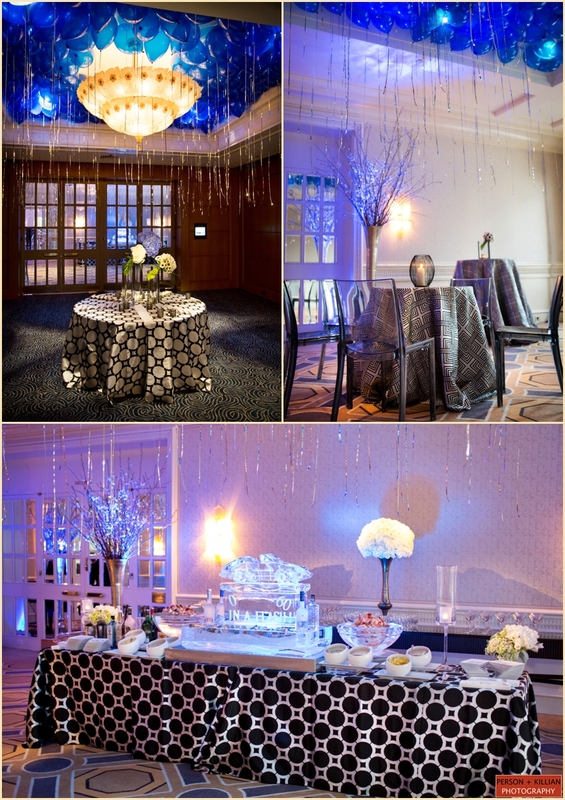 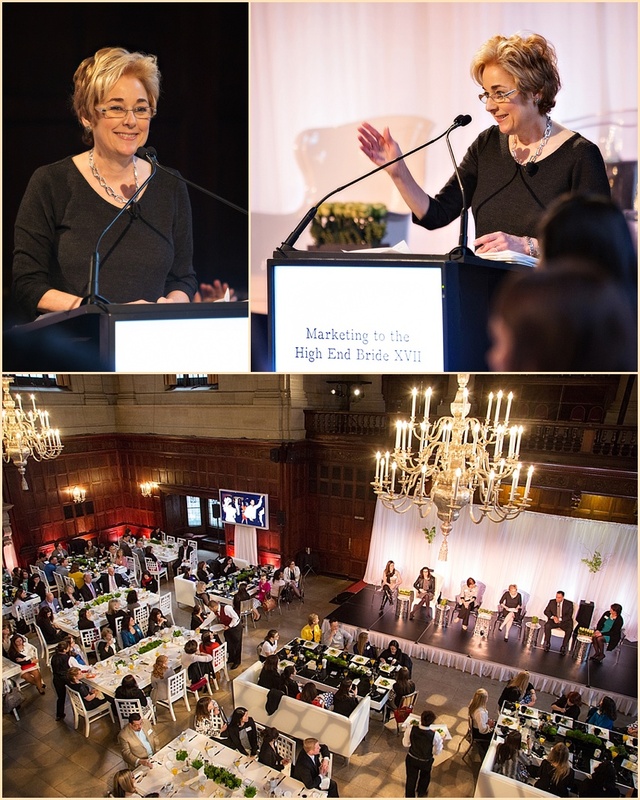 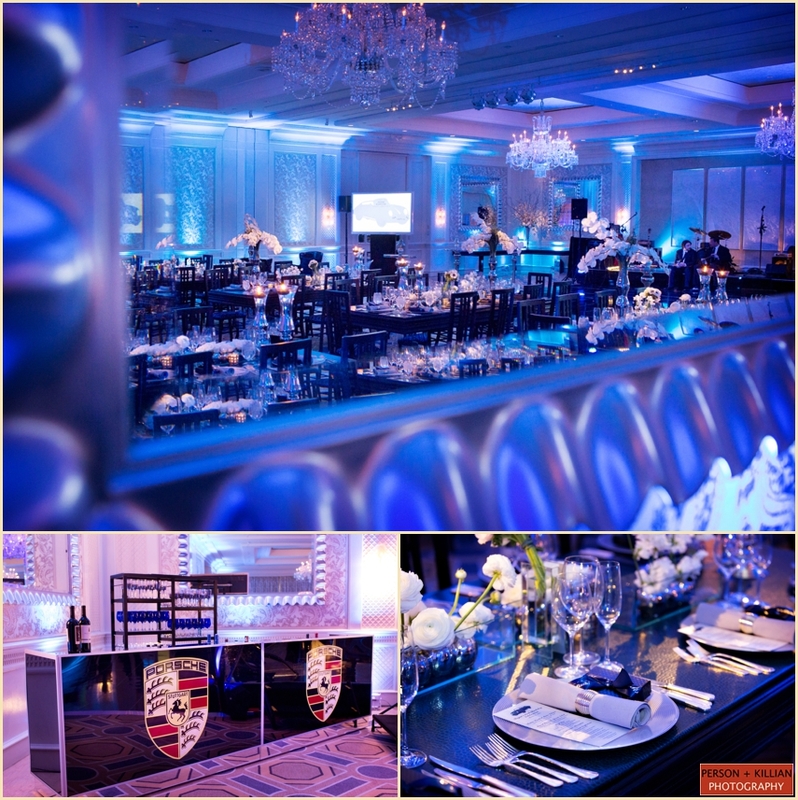 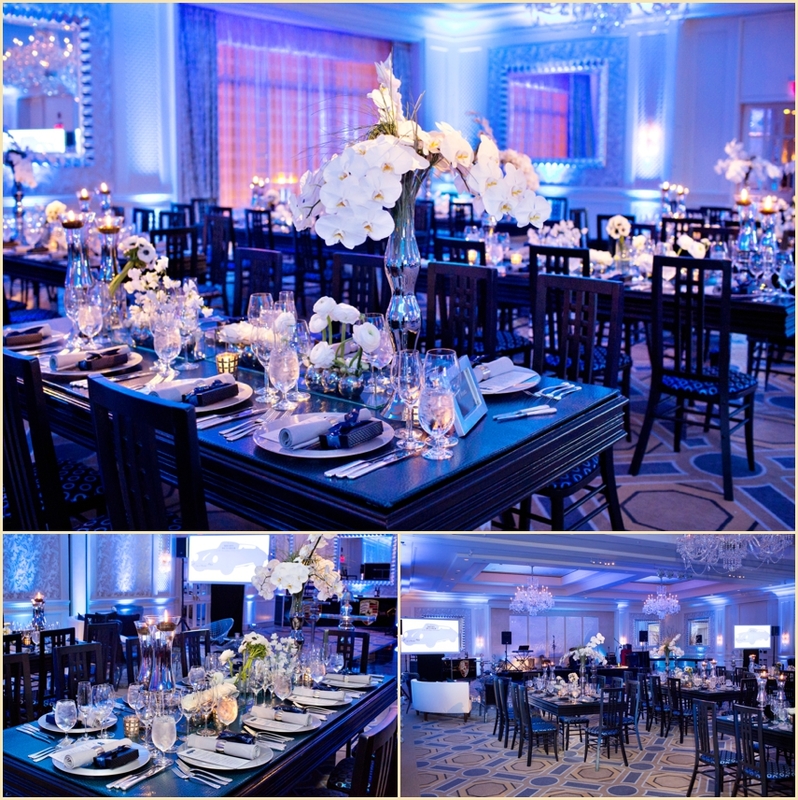 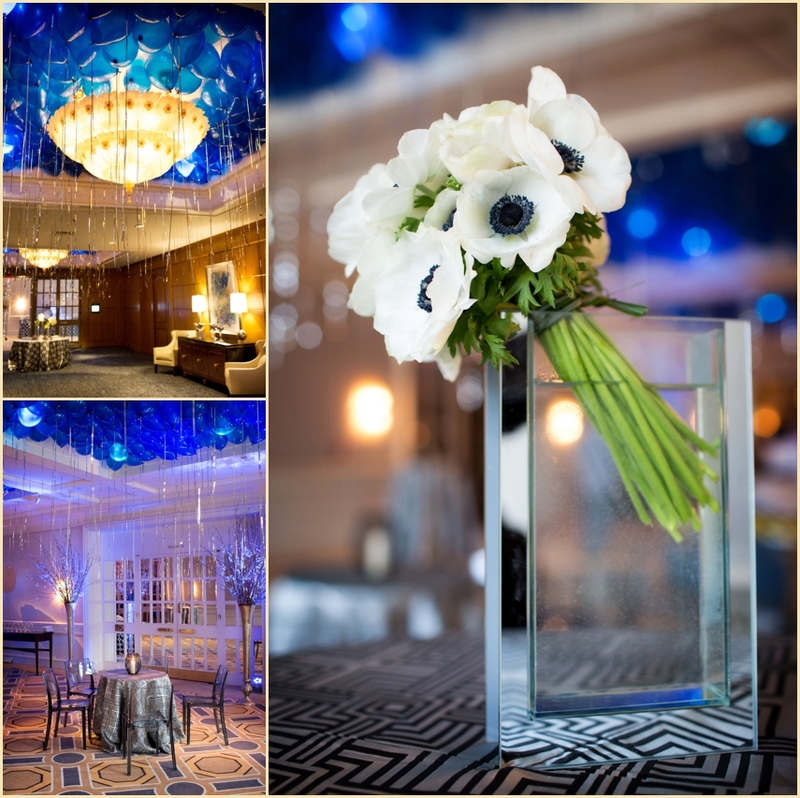 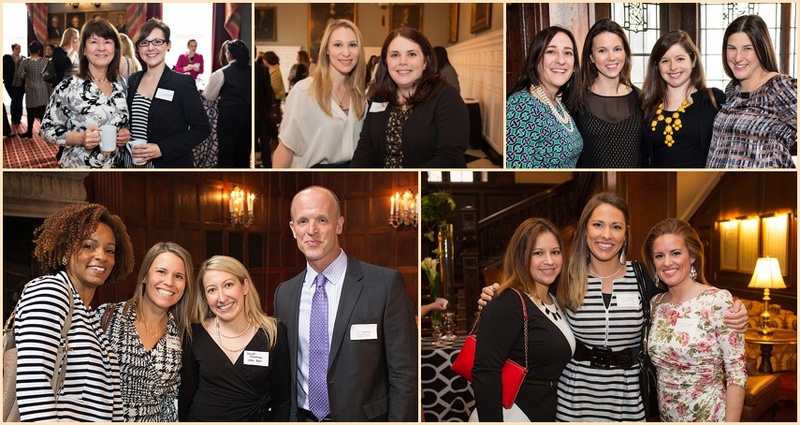 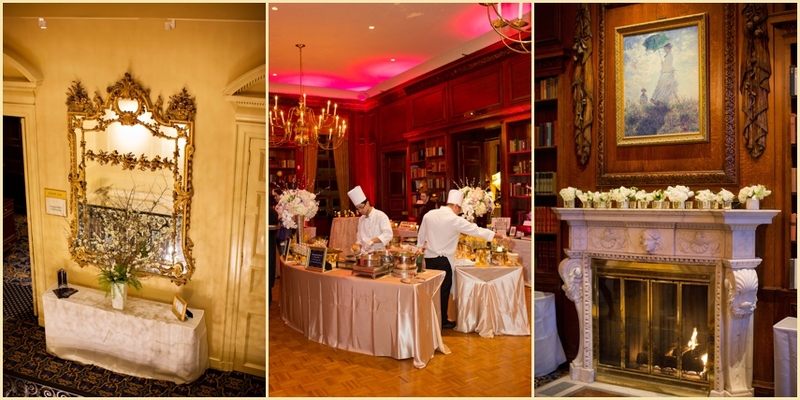 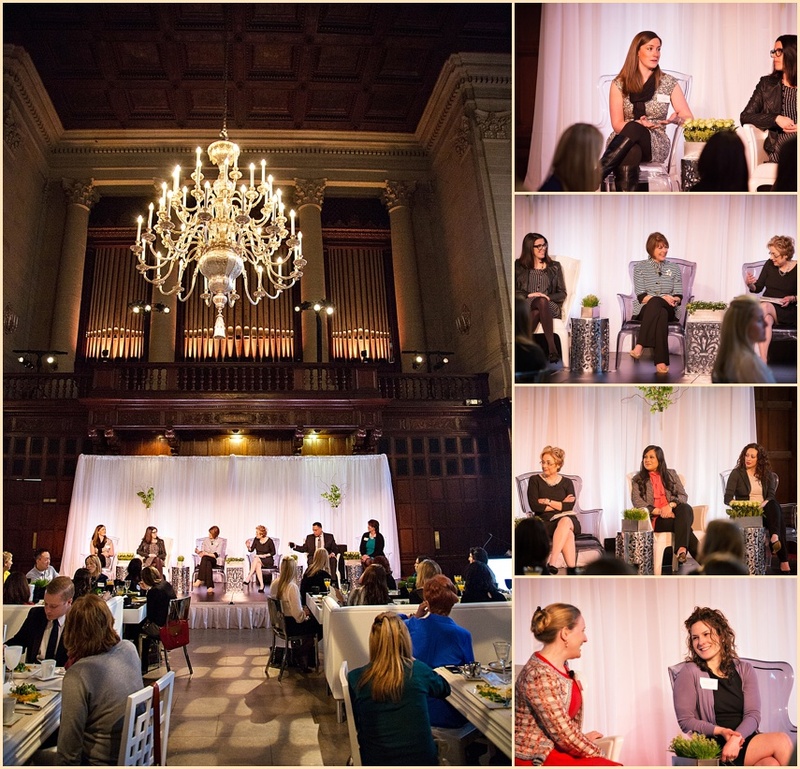 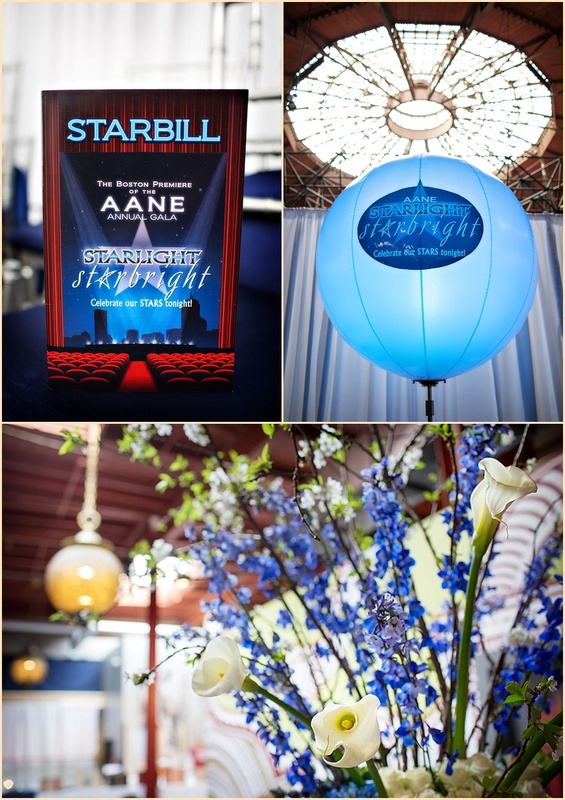 This year was especially exciting for the Omni Parker House, who hosted the event in their brand new renovated ballroom. 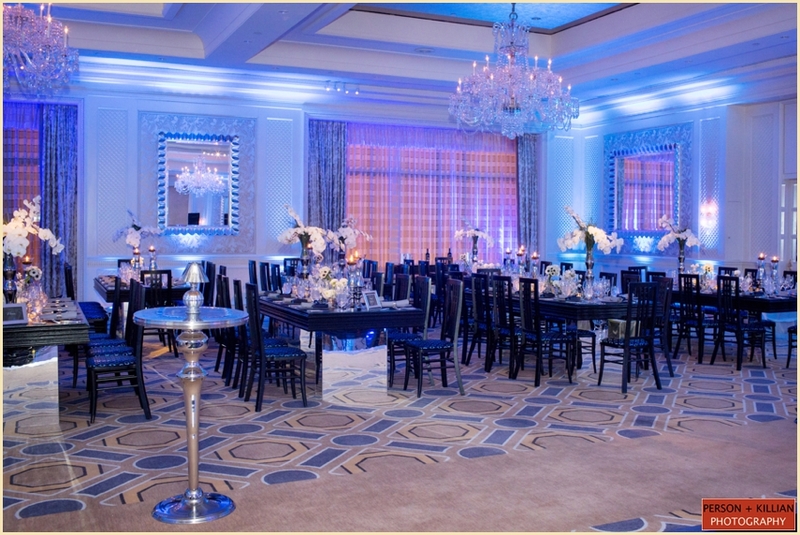 All of the 2013 and 2014 brides were so excited to finally walk in and see the beautifully remodeled space for the first time (and we were excited to see it as well!). 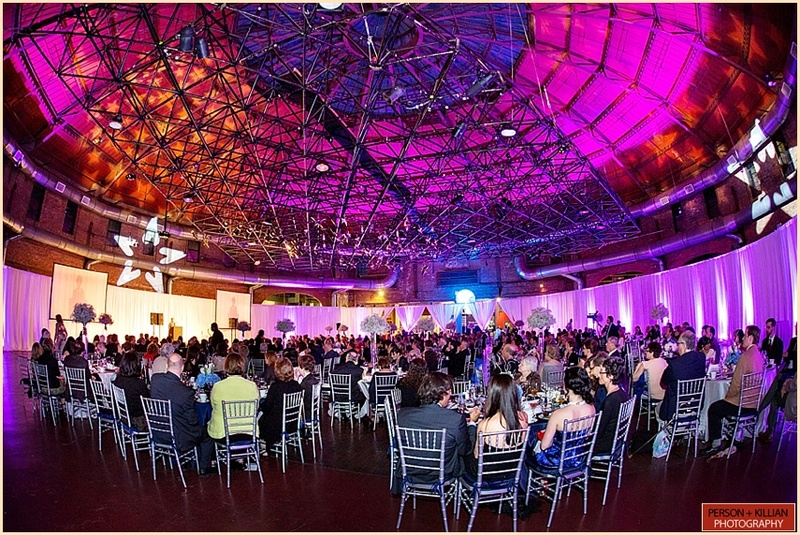 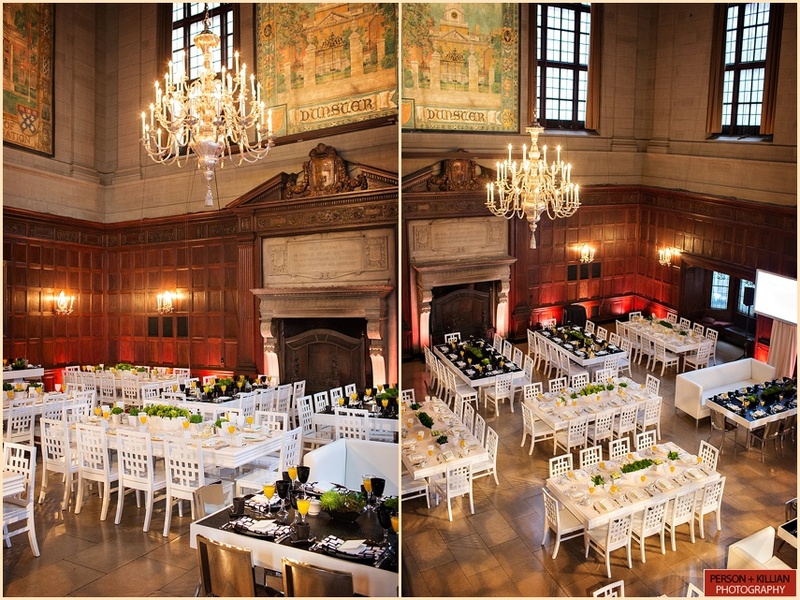 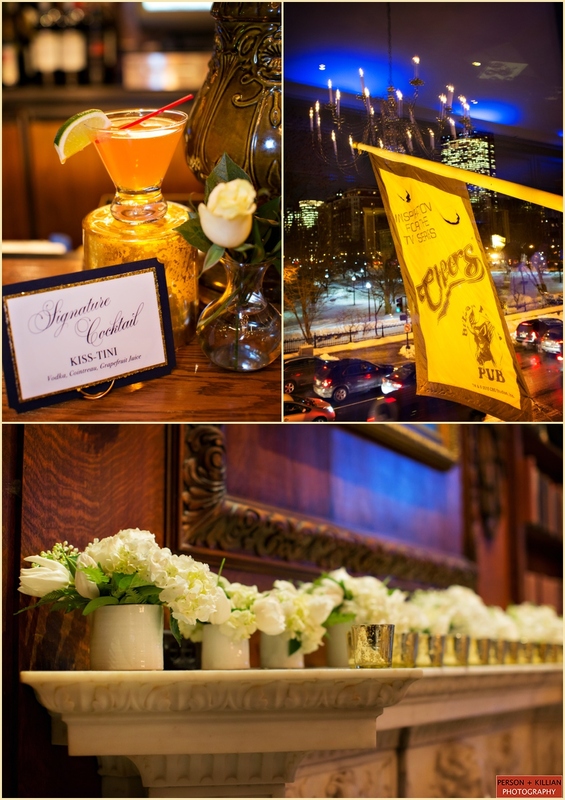 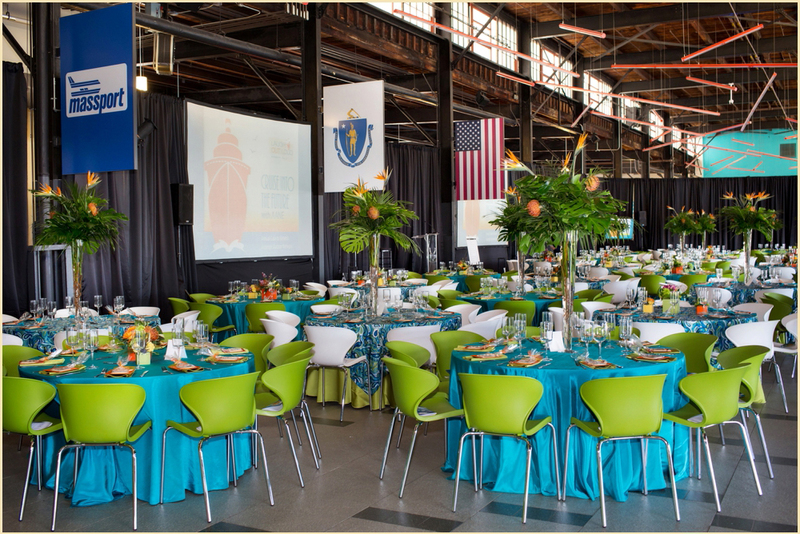 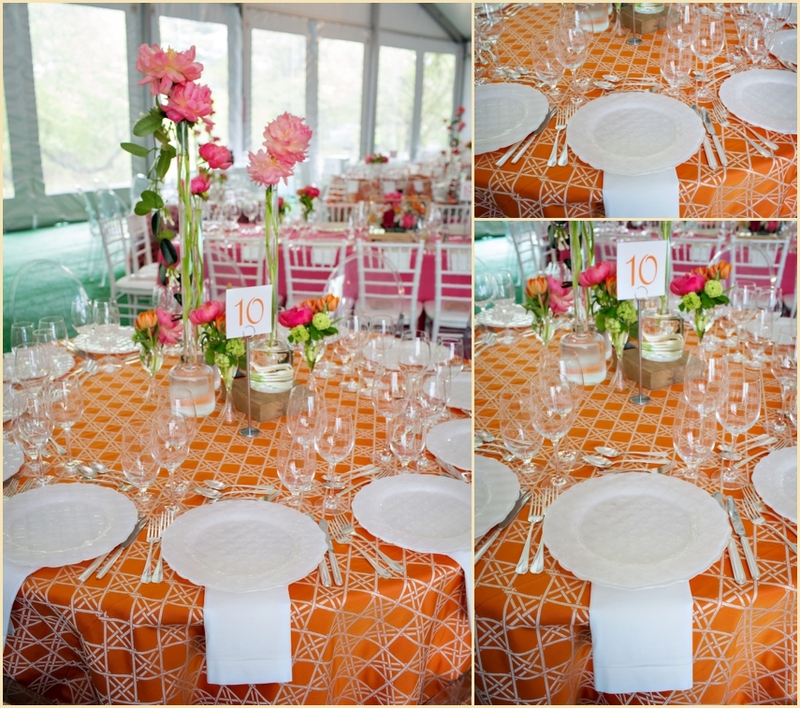 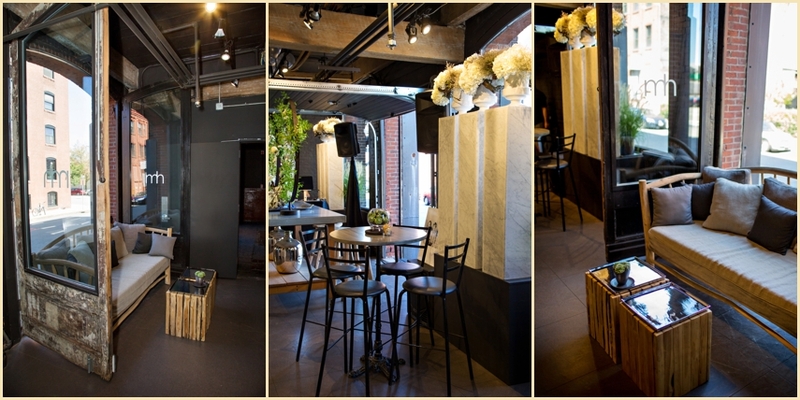 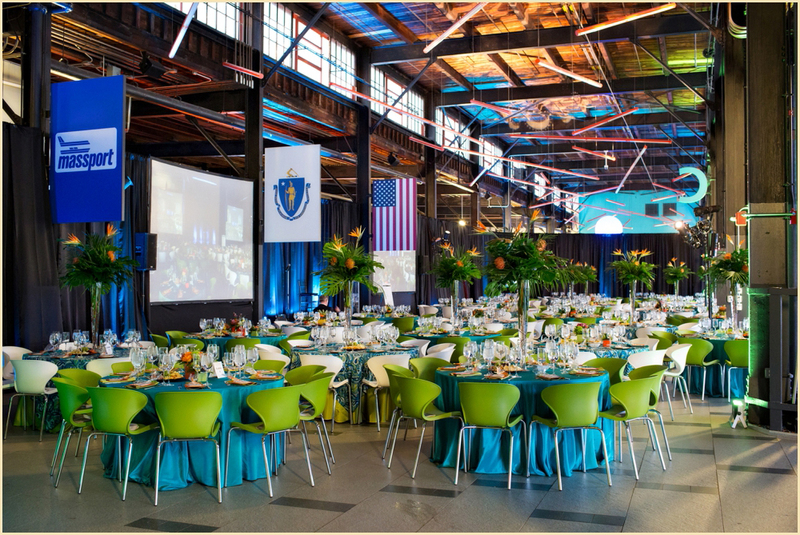 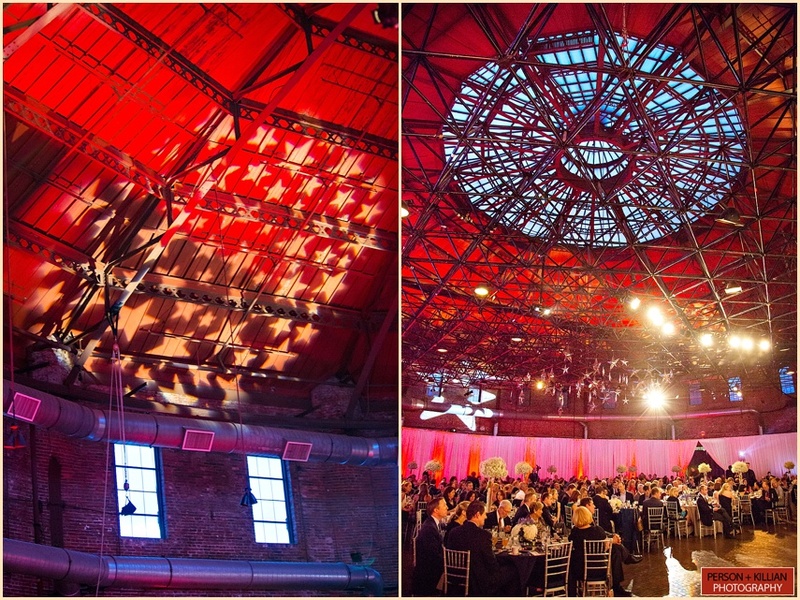 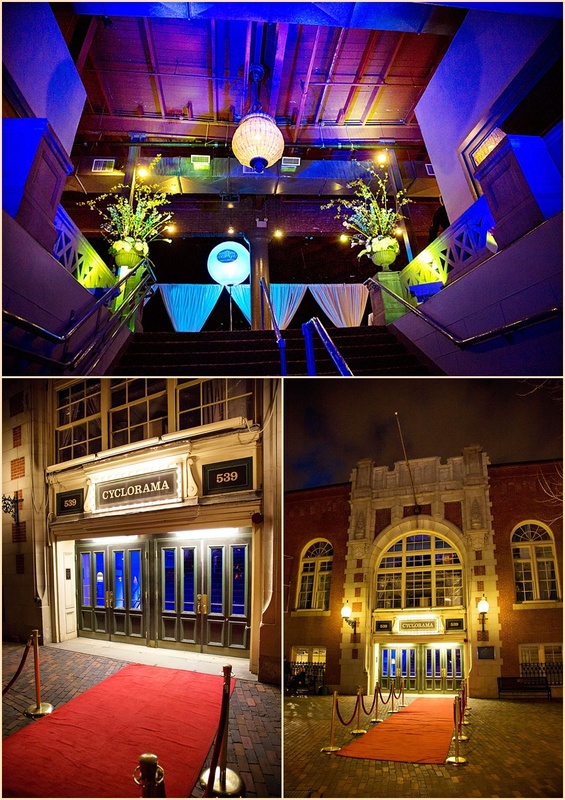 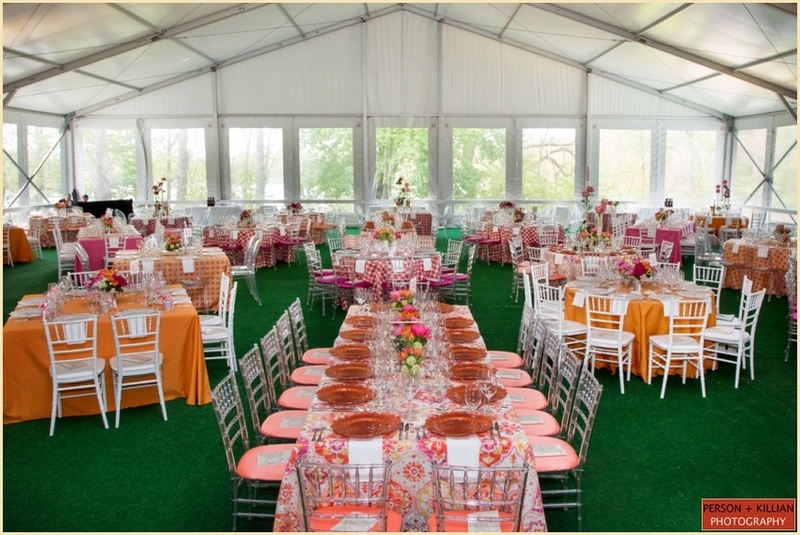 This opening weekend kicked off a great upcoming wedding season for the historic Boston venue. 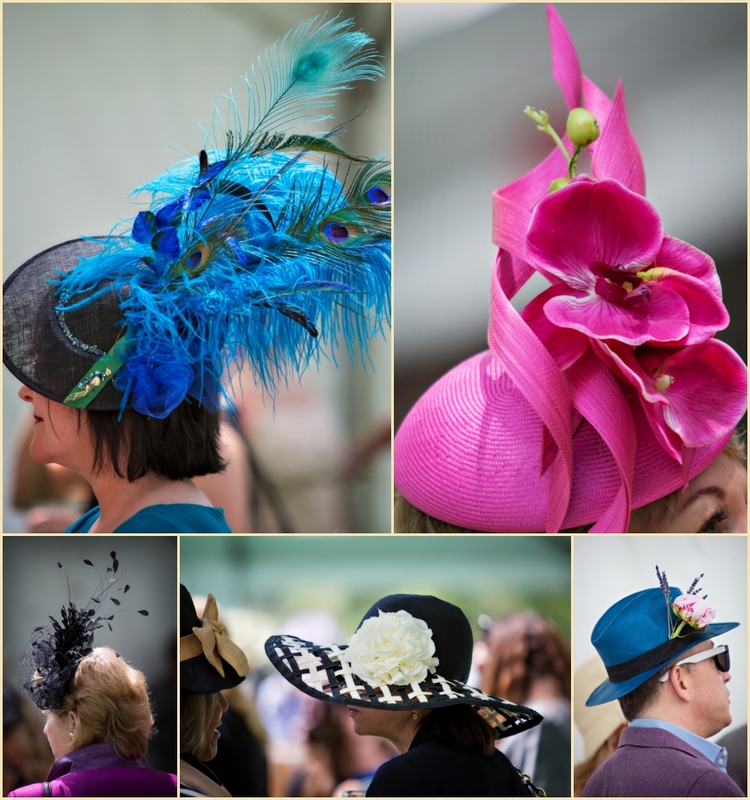 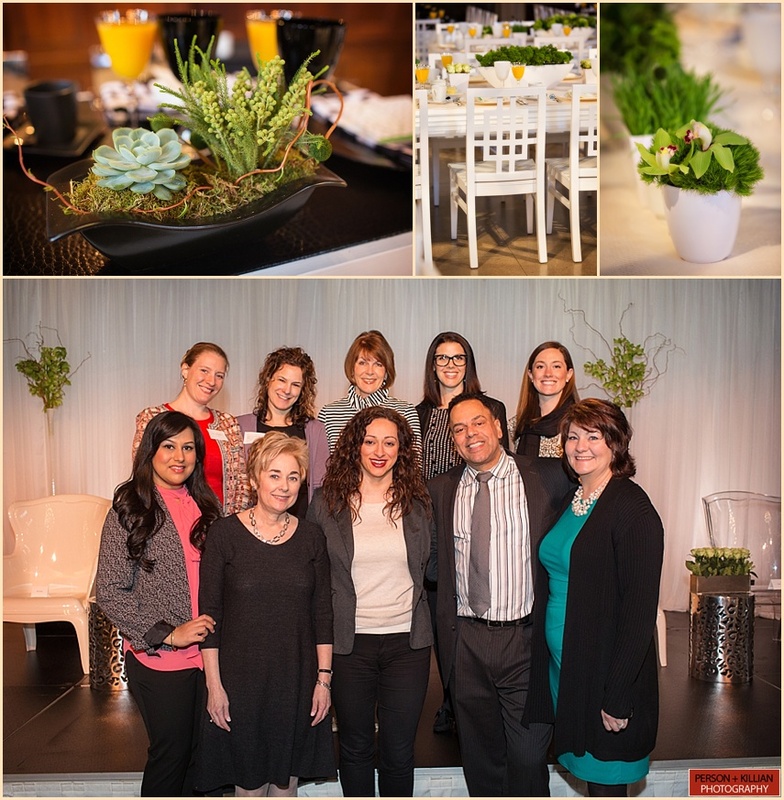 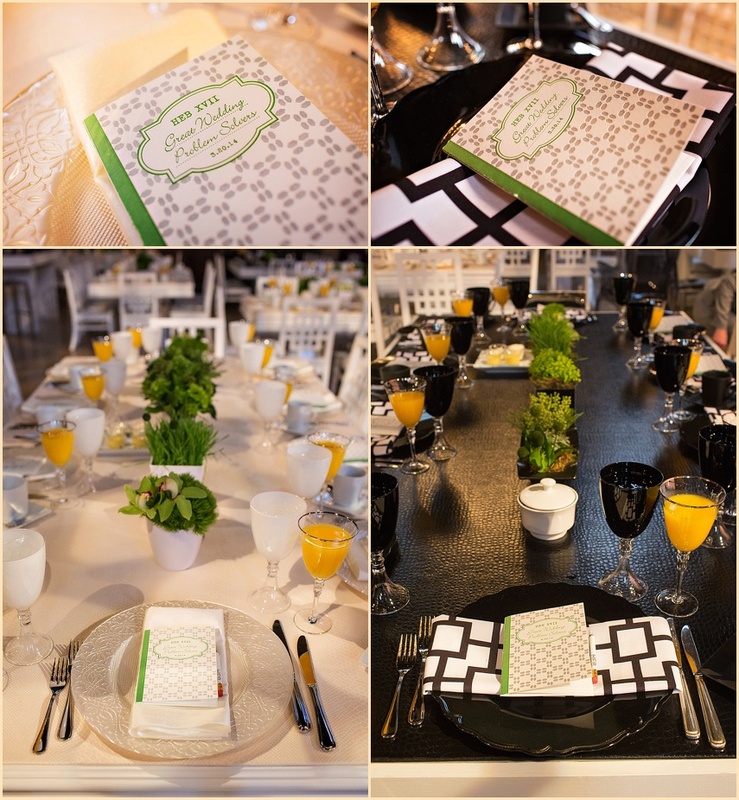 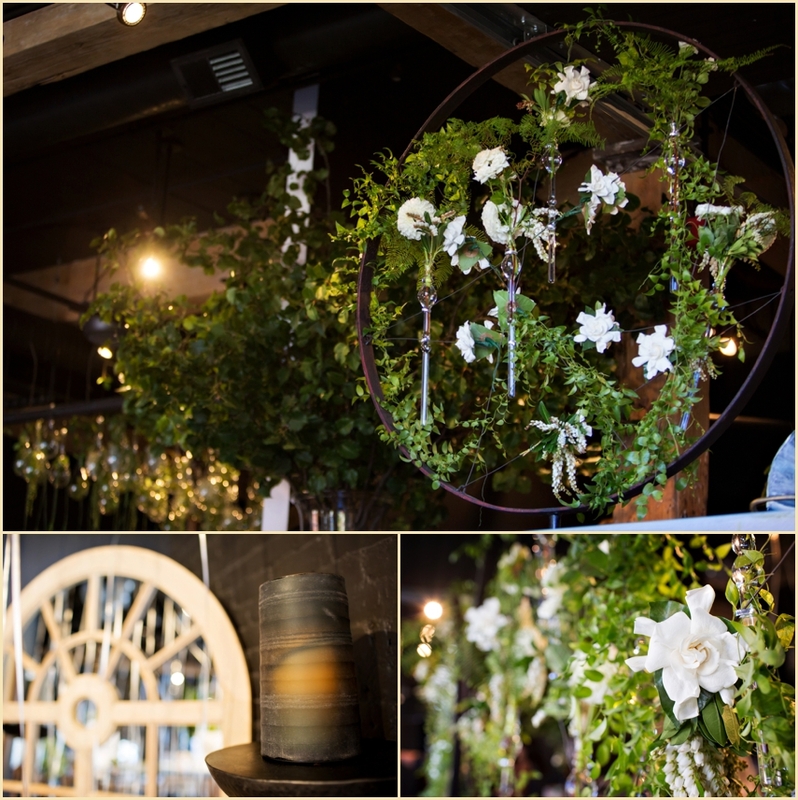 Guests spent the morning mingling, enjoying a fabulous brunch, and getting a sneak peek of all the hottest 2013 wedding trends with a fashion show from Flair. 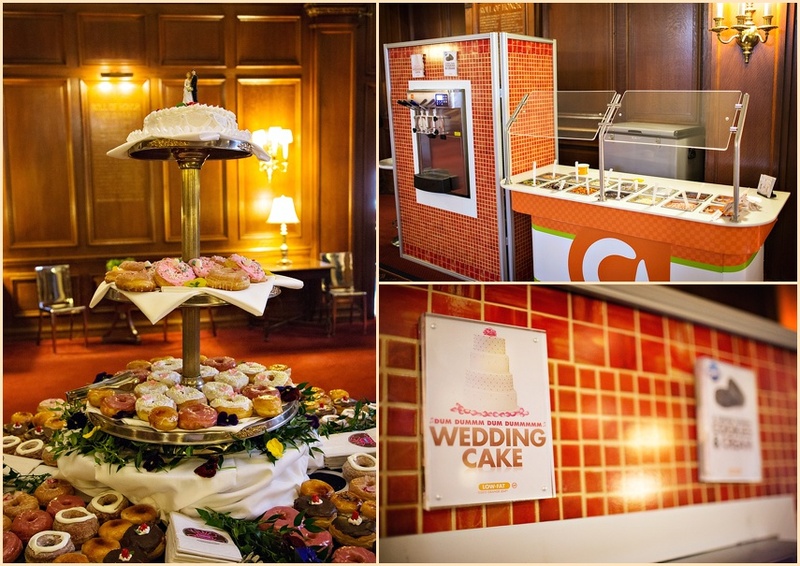 George Montilio of Montilio’s Baking Company even surprised everyone with a series of gorgeous wedding cakes, created as everything from wedding gowns to Manolo Blahniks. 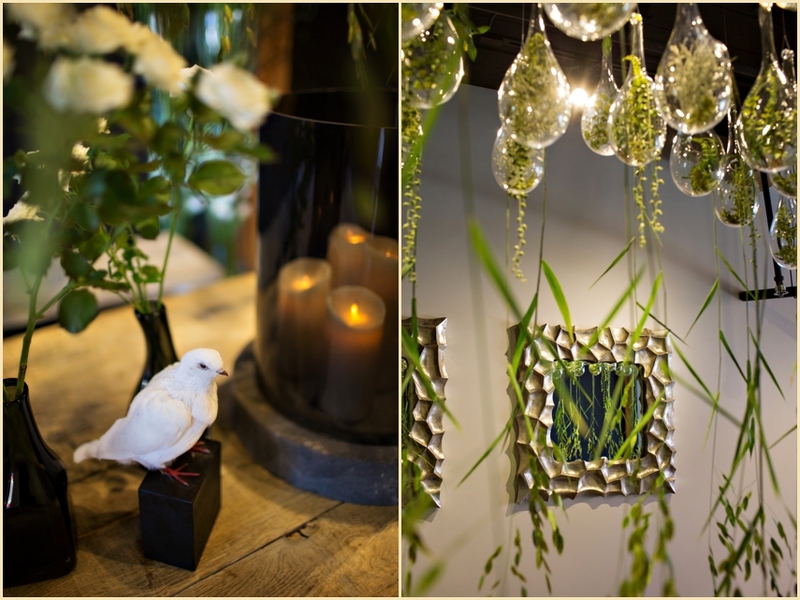 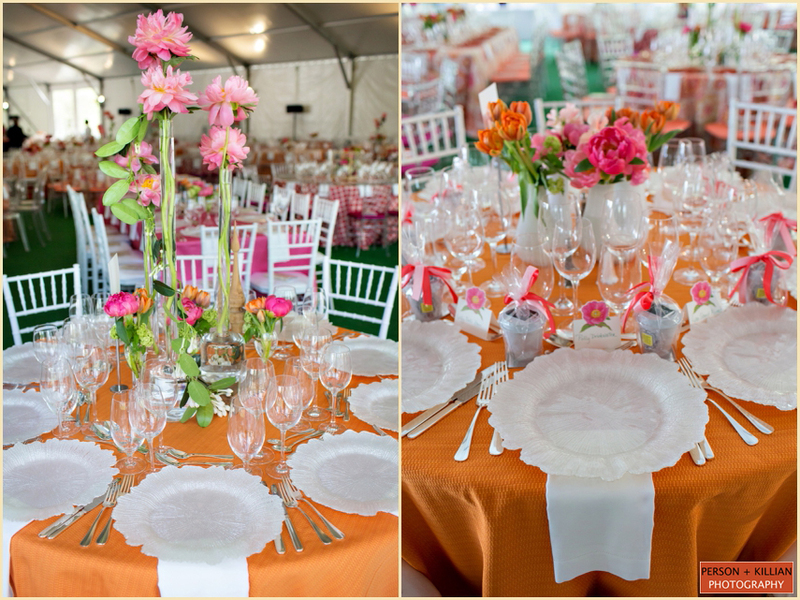 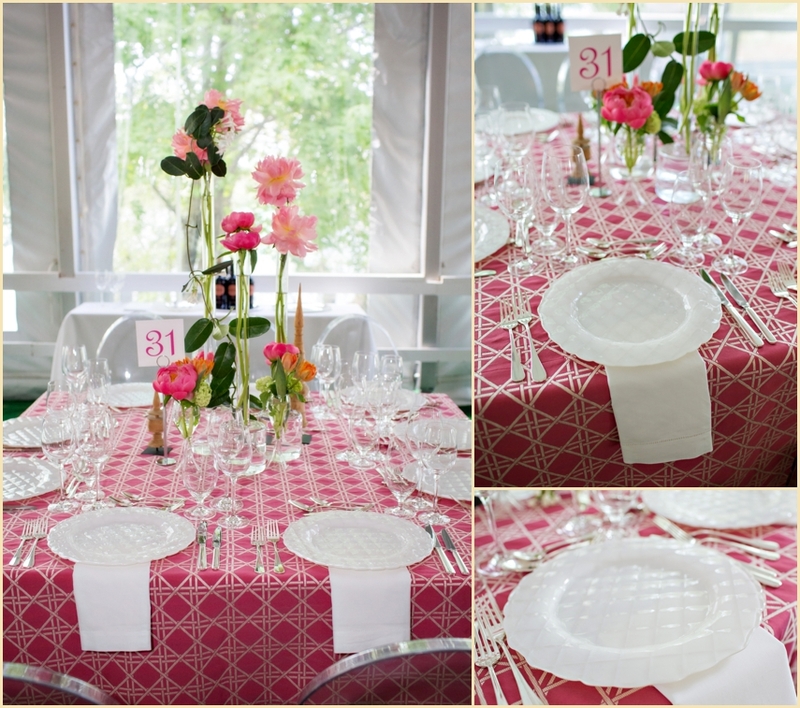 The entire event was a big hit, and all the brides walked away with lots of inspiration for their upcoming weddings. 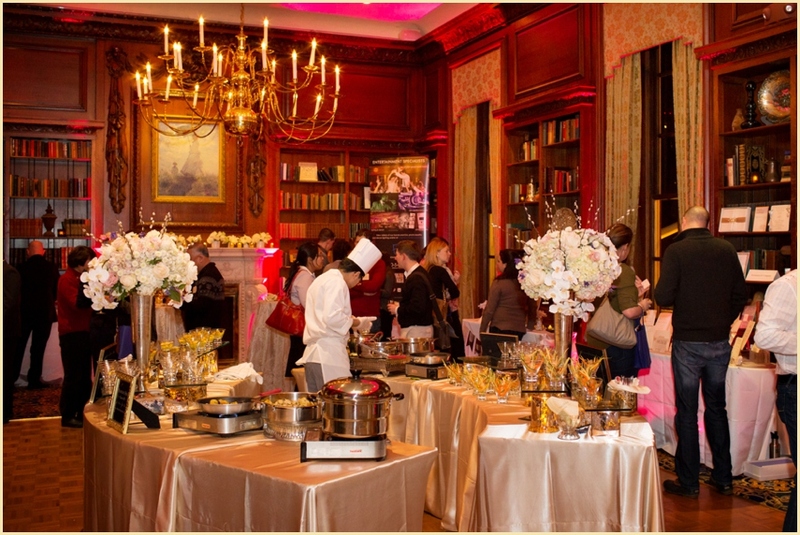 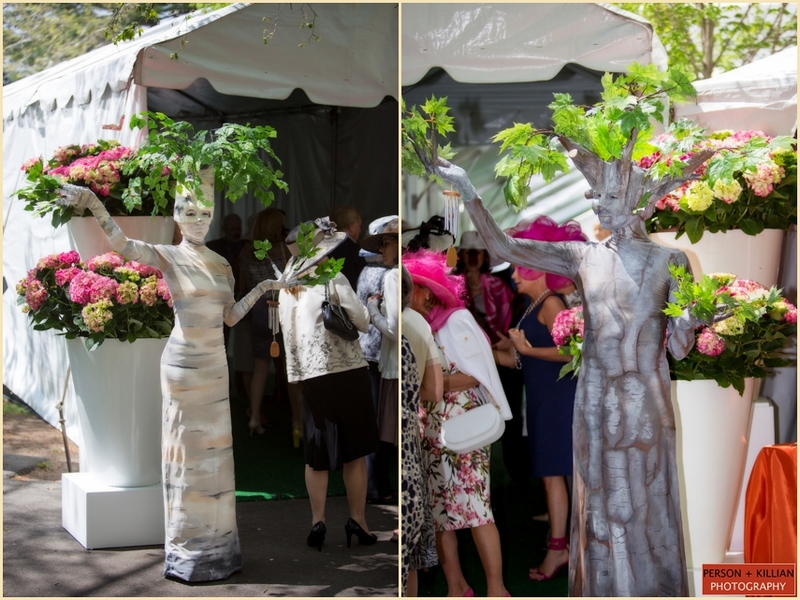 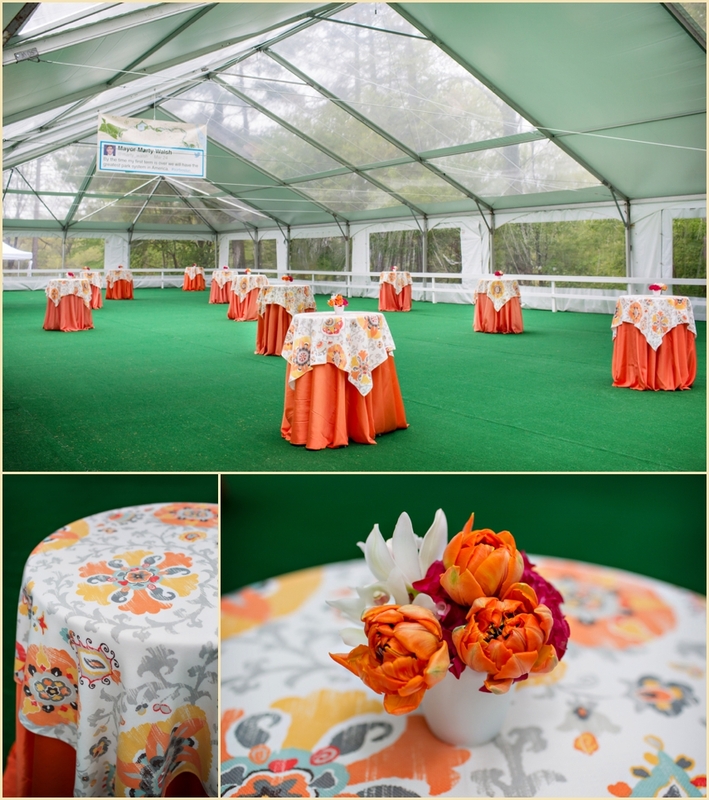 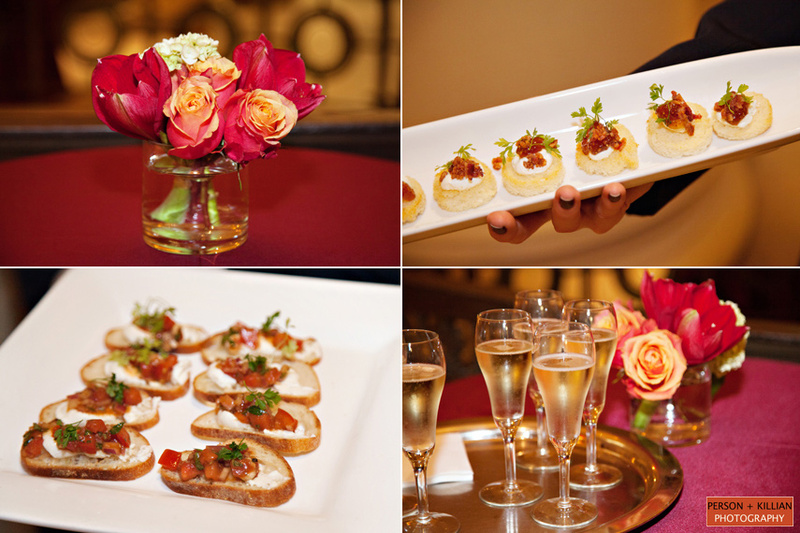 Thank you to everyone at the Omni Parker House for including us again this year such a wonderful event! 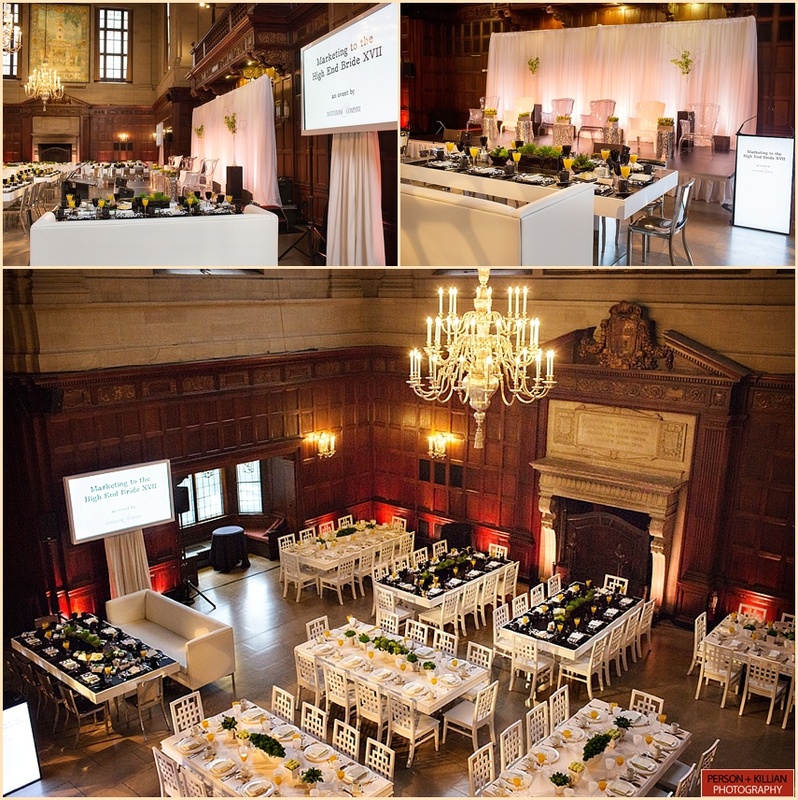 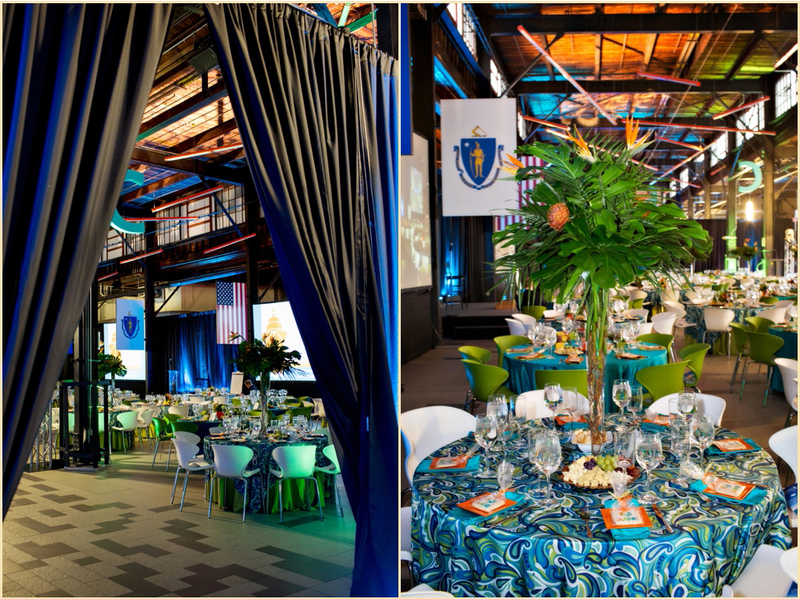 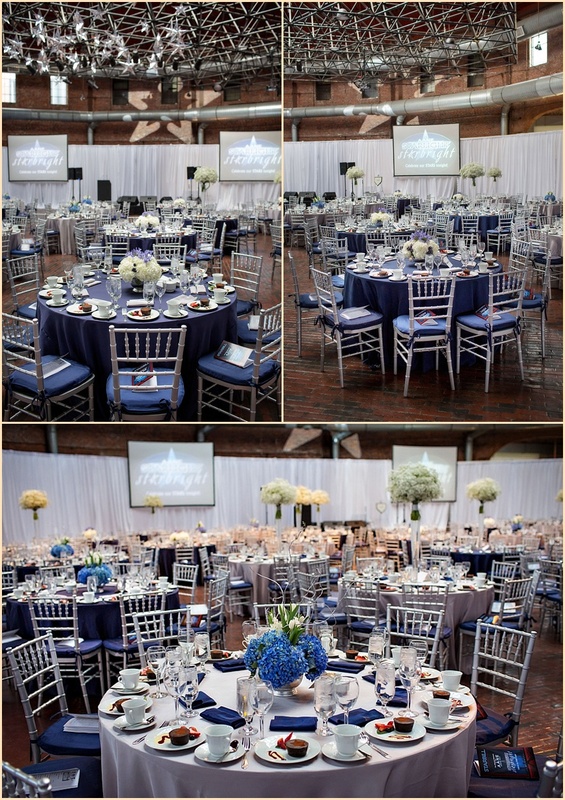 We were thrilled to be asked once again to photograph the Annual Reebok Awards Dinner at the beautiful Museum of Fine Arts Boston this year! 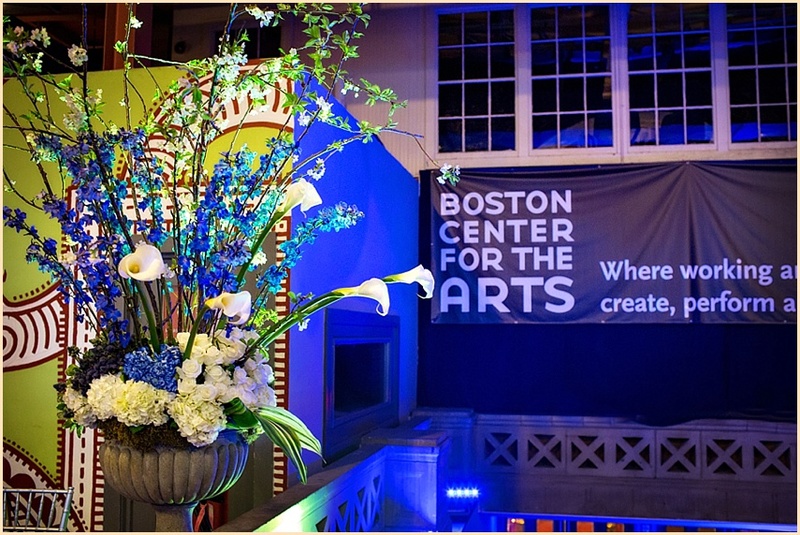 This was the second year in a row that Reebok chose the Museum of Fine Arts Boston as the venue for their annual event — last year’s awards were held in the MFA’s beautiful new Shapiro Family Courtyard, while this year they chose the high ceilings and art-filled walls of the Koch Gallery as the backdrop for their evening. 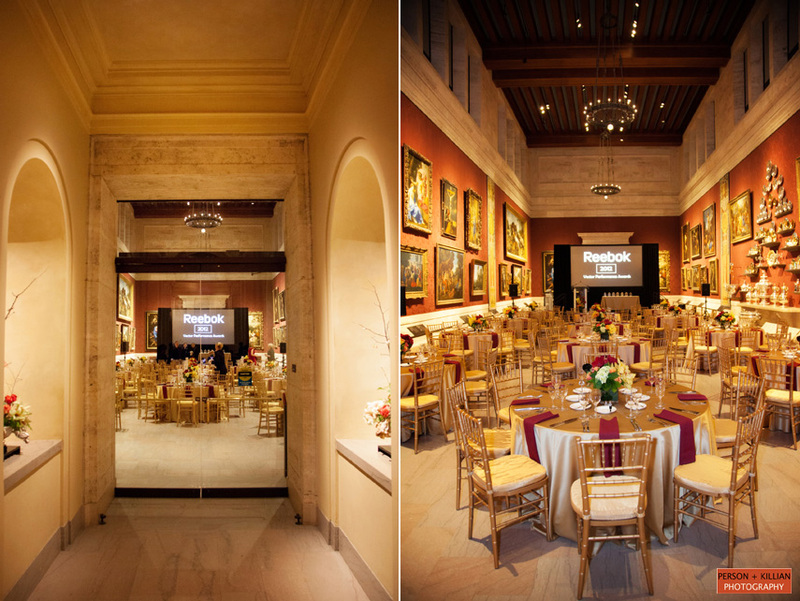 This recently renovated gallery is described by the MFA directors as “the most majestic architectural space in the MFA . 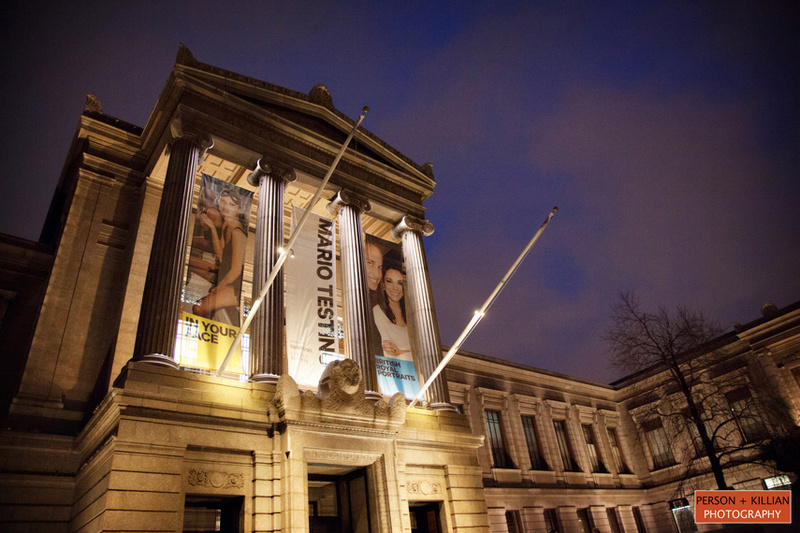 . . with an astonishing display of European paintings and silver, virtually unparalleled in America”. 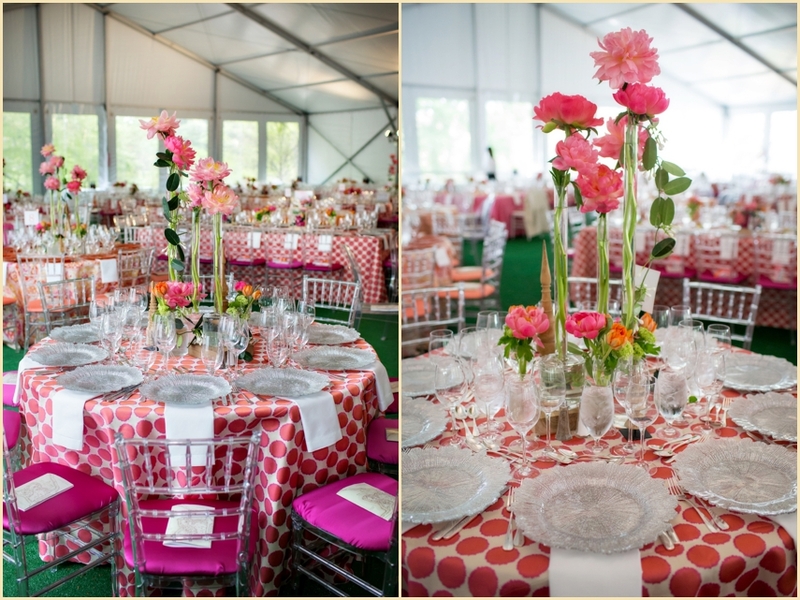 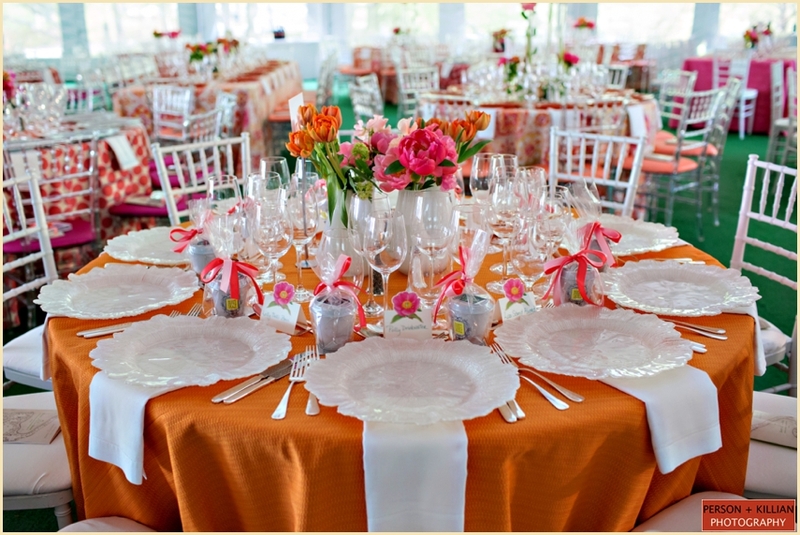 The golden chairs and linens topped with dark maroon napkins matched the walls of the gallery perfectly, and beautiful arrangements of red, orange and white flowers from Winston Flowers added a great pop of color to the room. 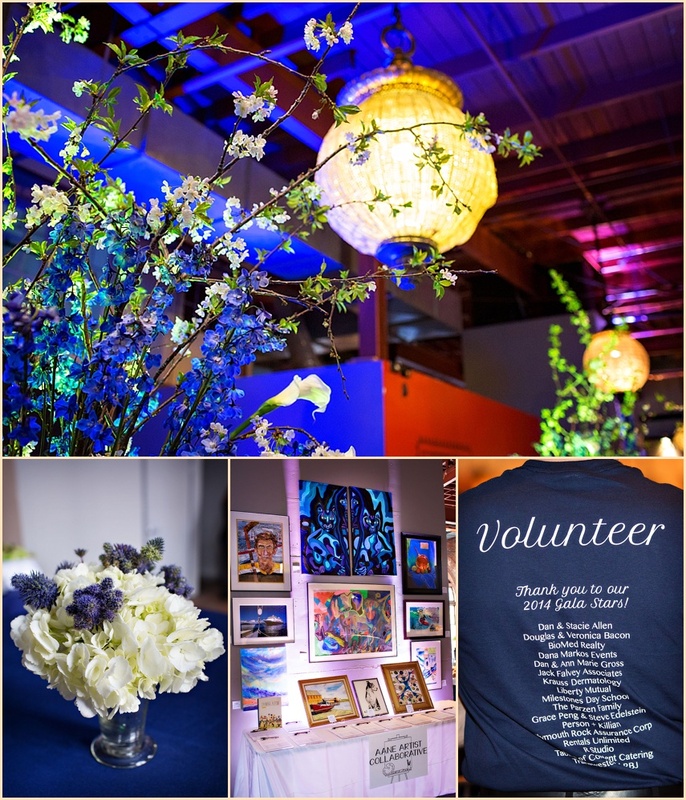 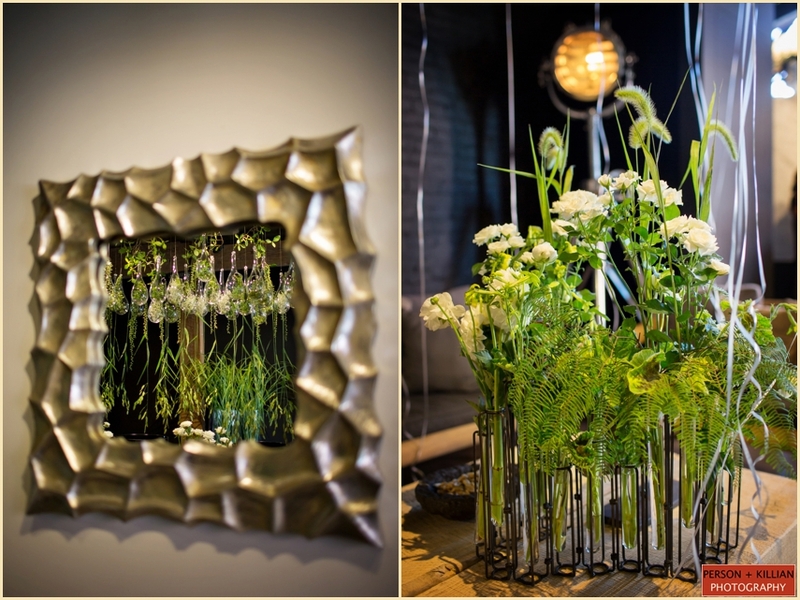 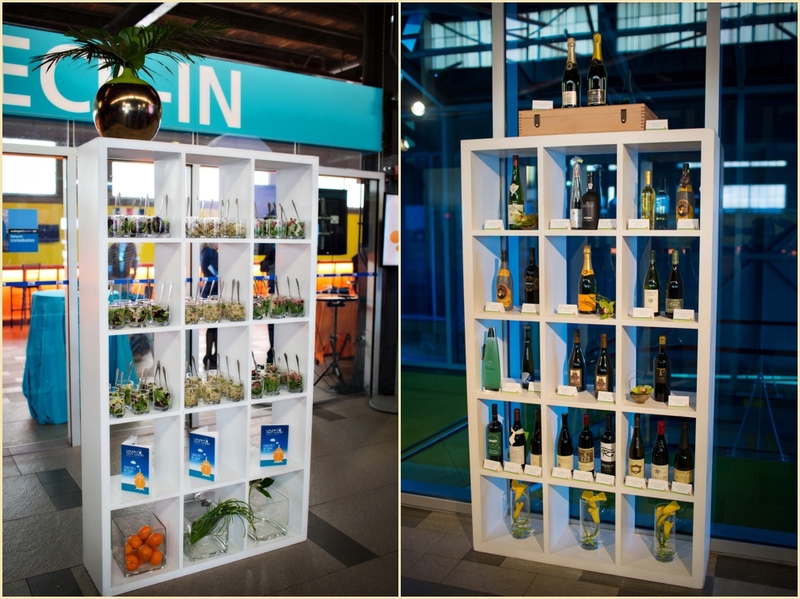 The evening was classic and elegant — made even more spectacular by the priceless pieces of artwork hanging on all sides! 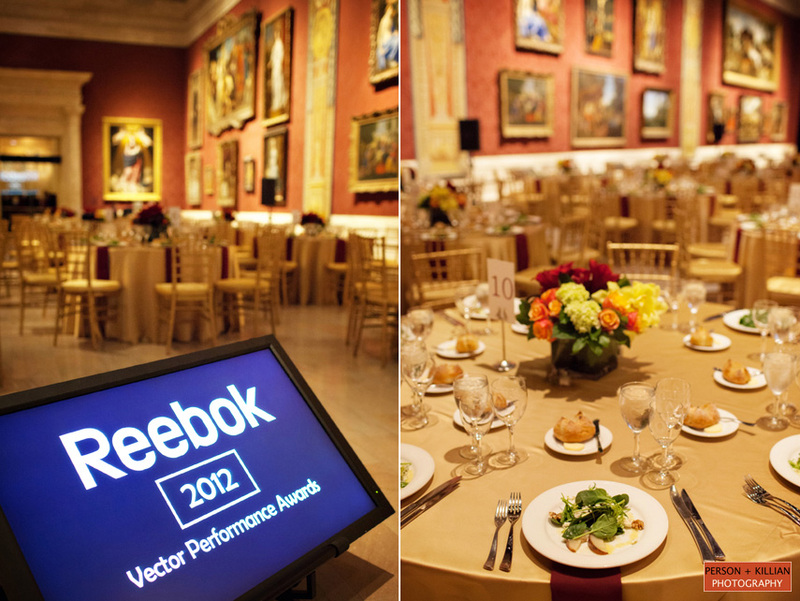 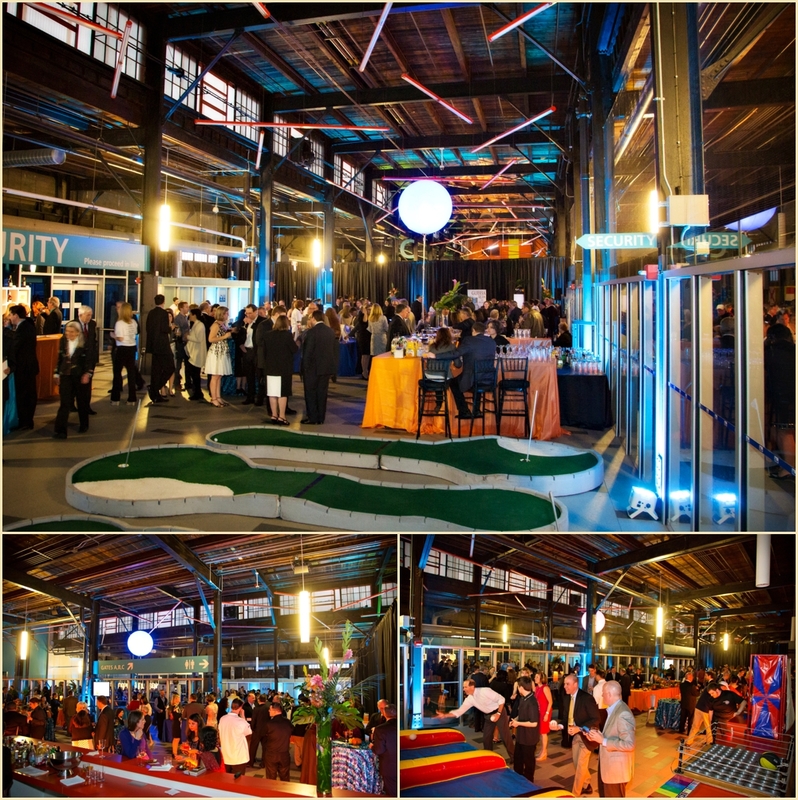 A big thank you to Reebok for once again allowing us to be a part of this great annual event for the 3rd year in a row, and to the Museum of Fine Arts Boston for such a beautiful venue to photograph!